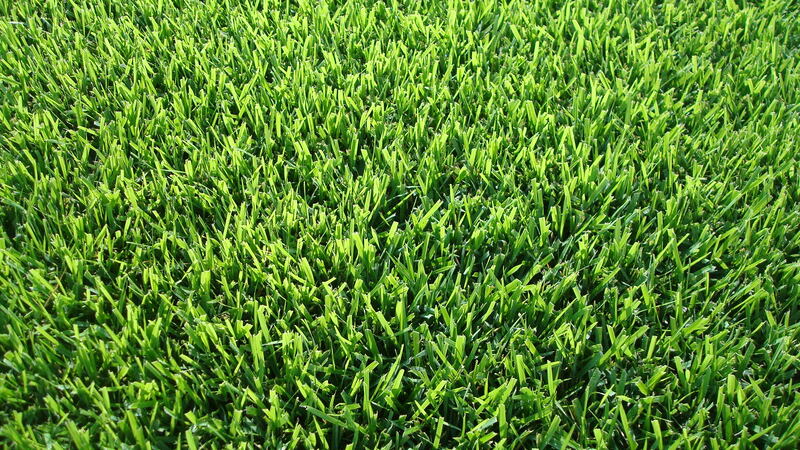 The fastest and most cost effective way to grow in your new lawn! 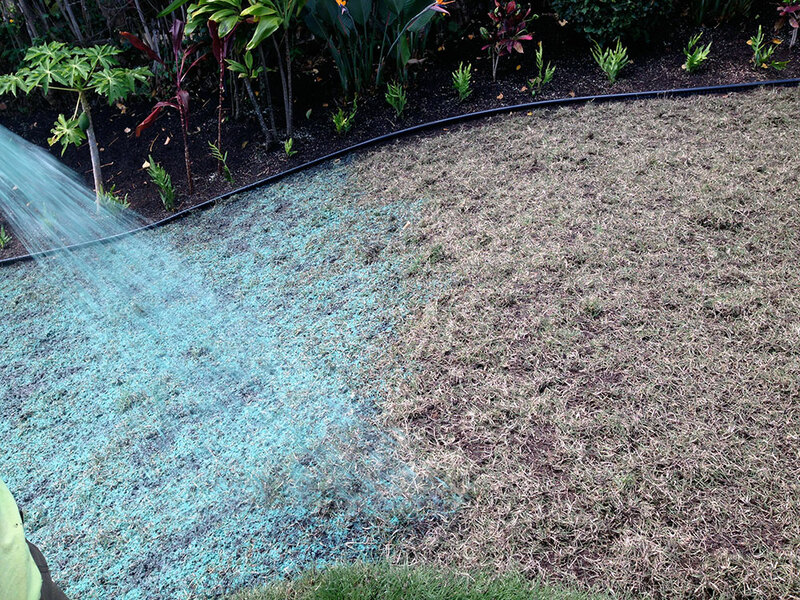 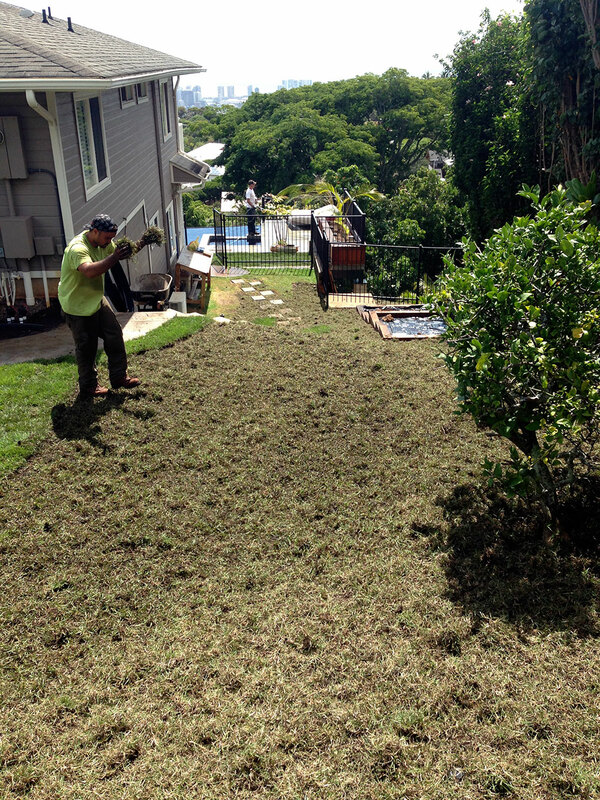 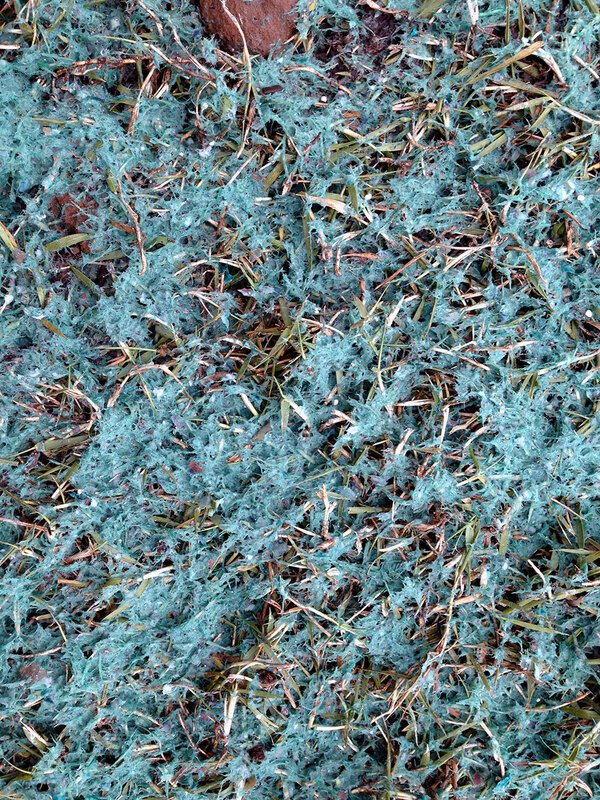 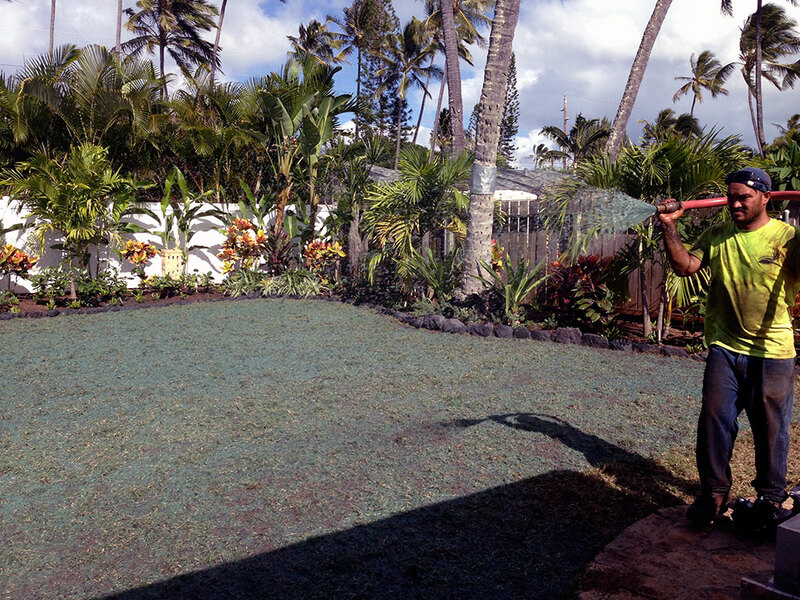 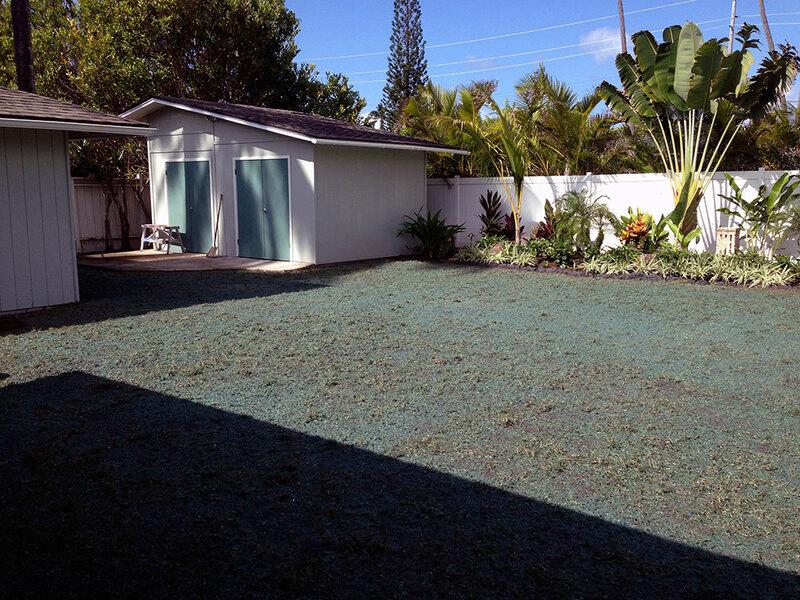 See how easy it is to Hydroseed your lawn! 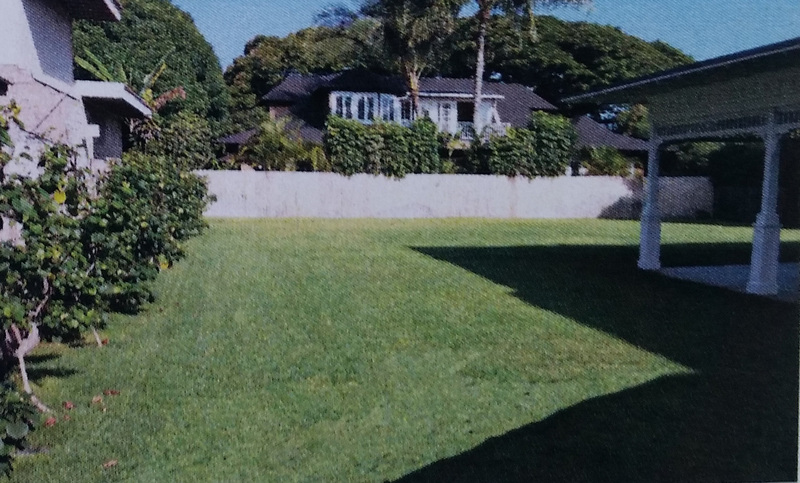 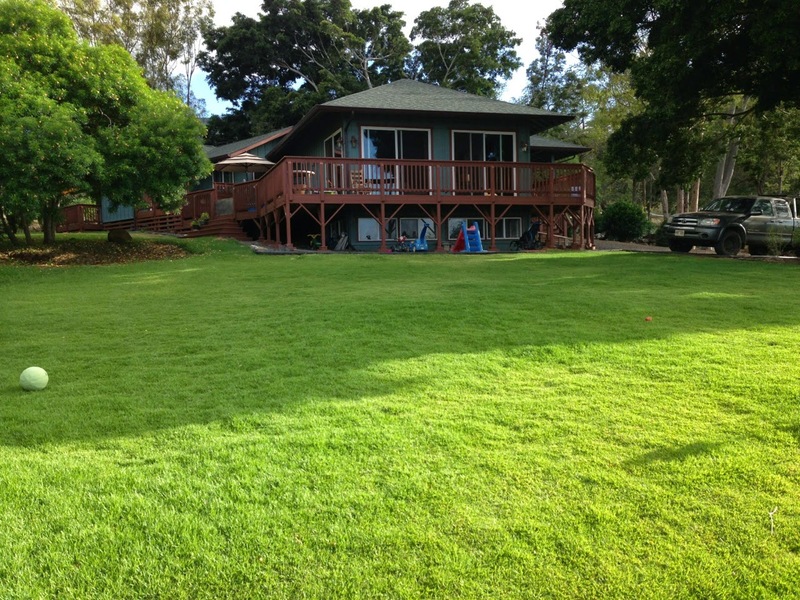 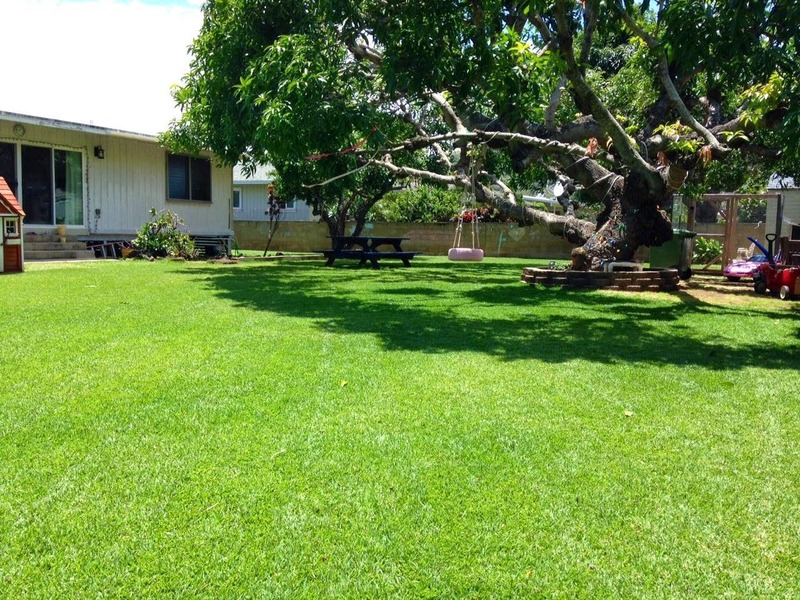 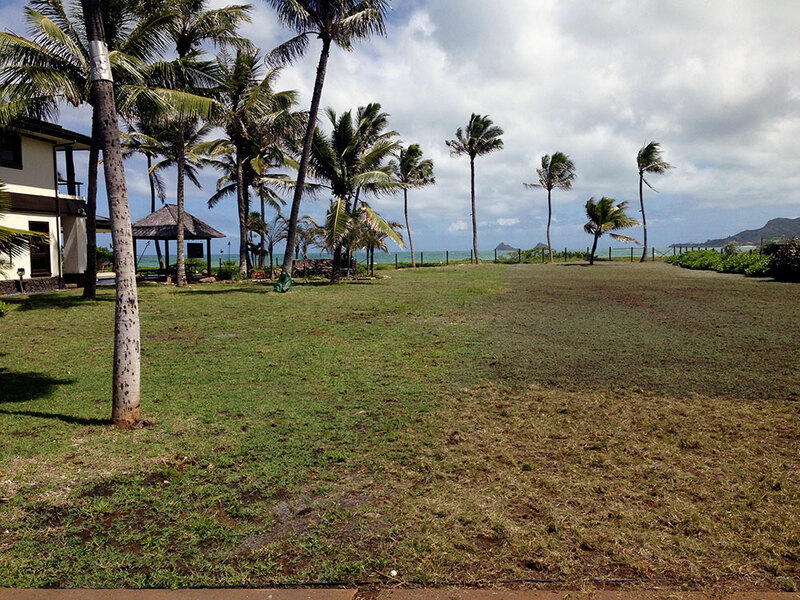 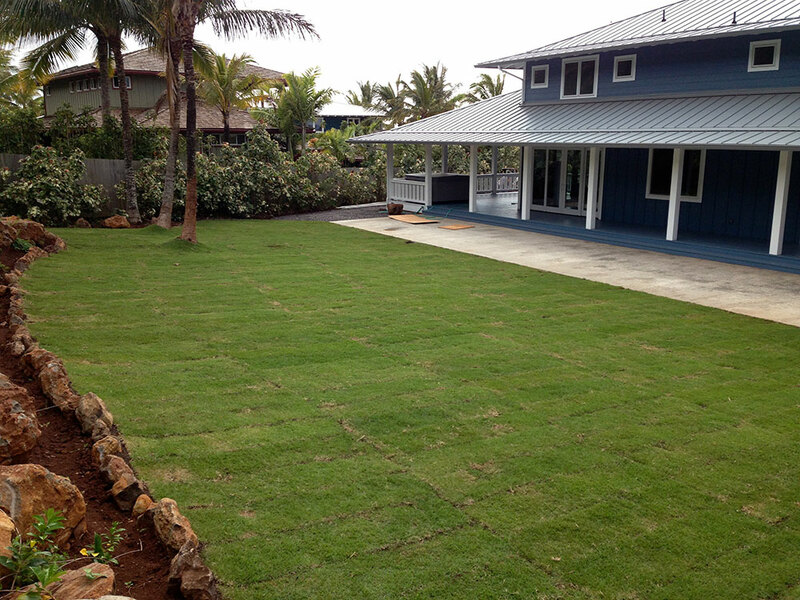 Sod is a good choice for a new lawn... 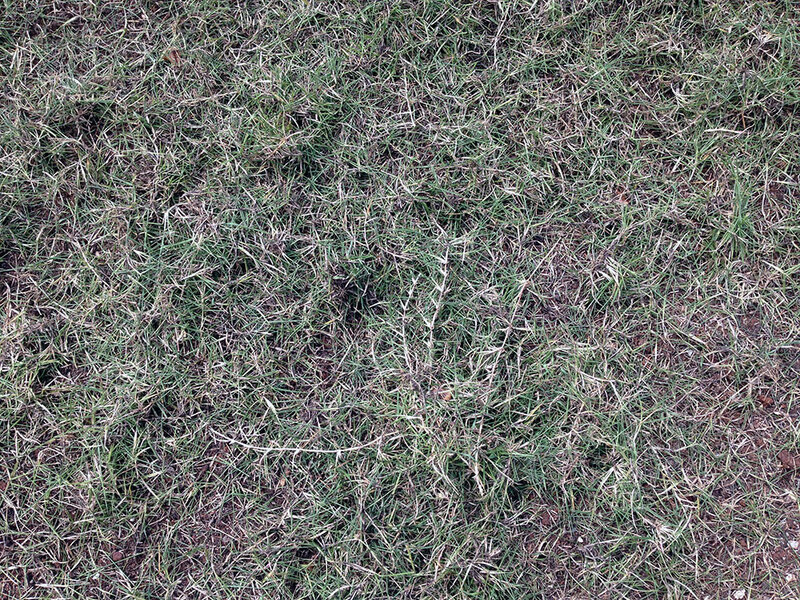 But it's EXPENSIVE! 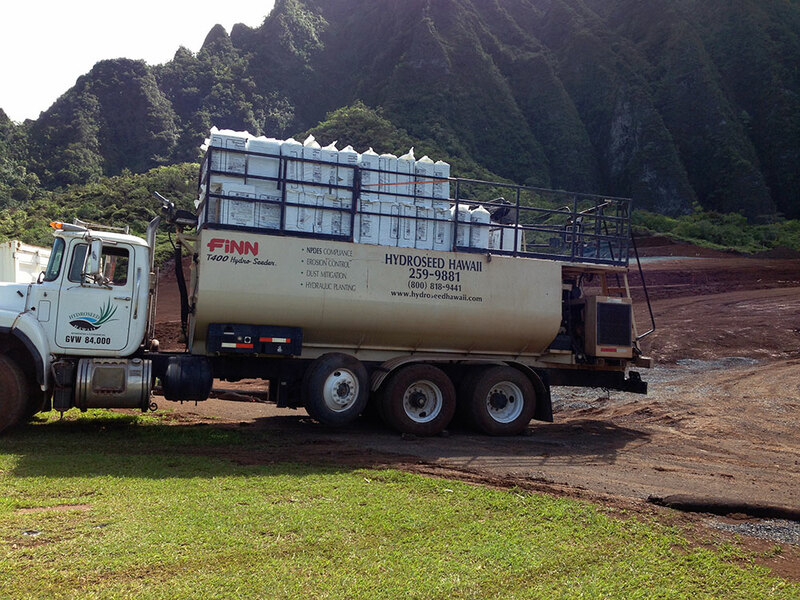 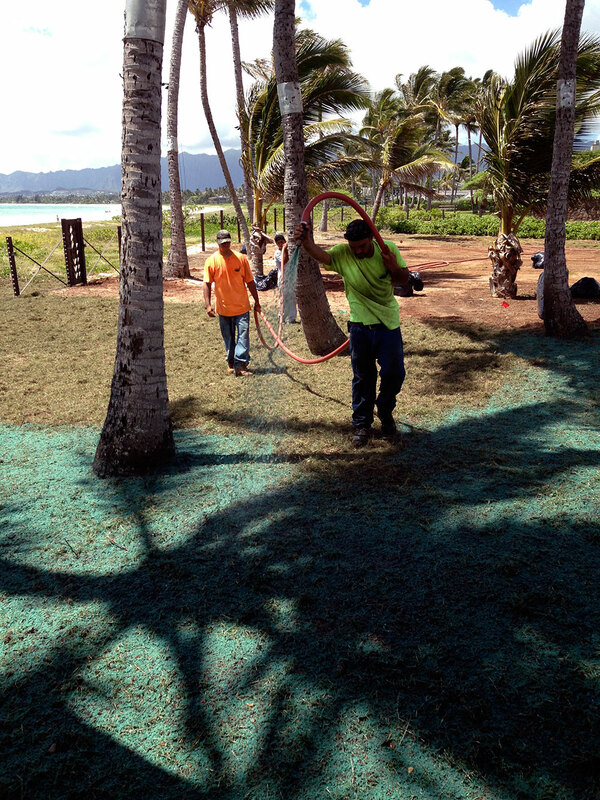 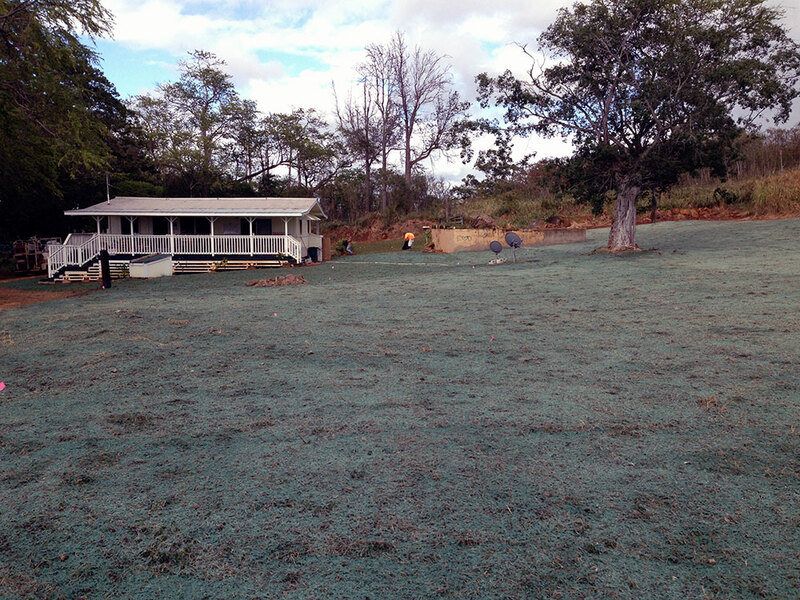 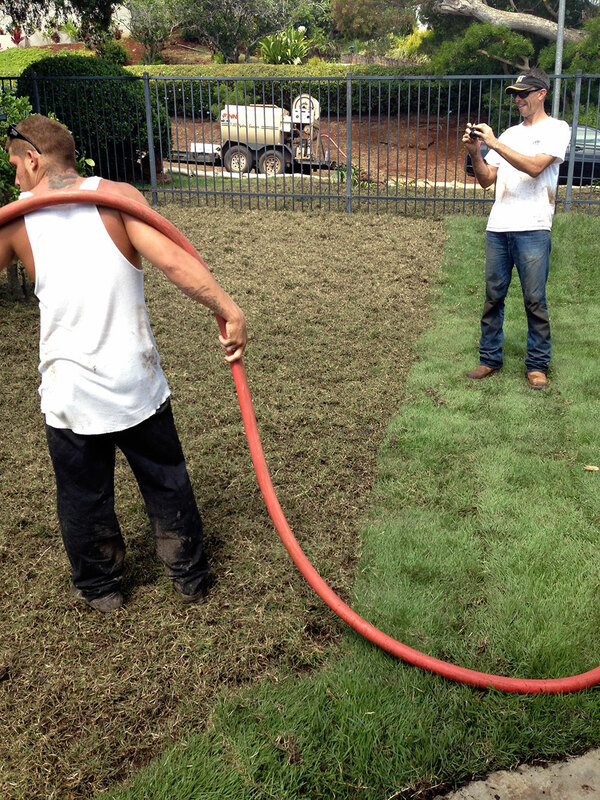 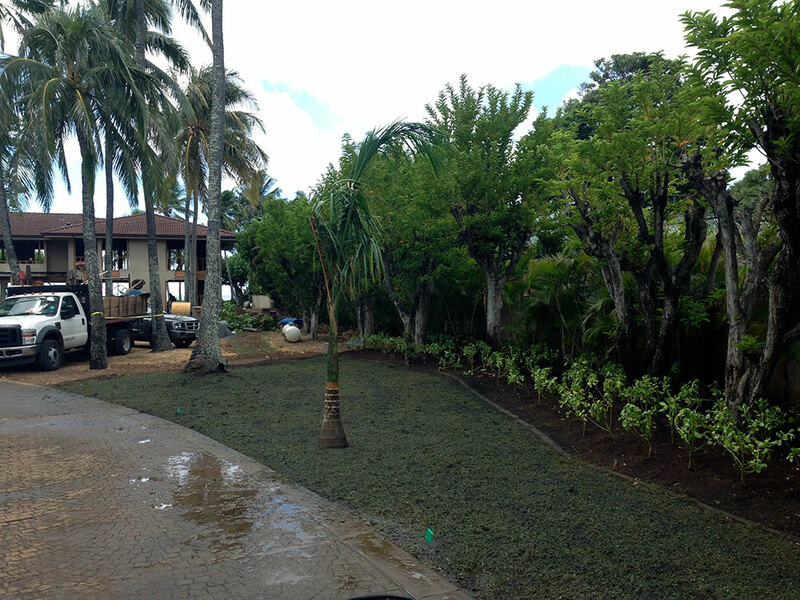 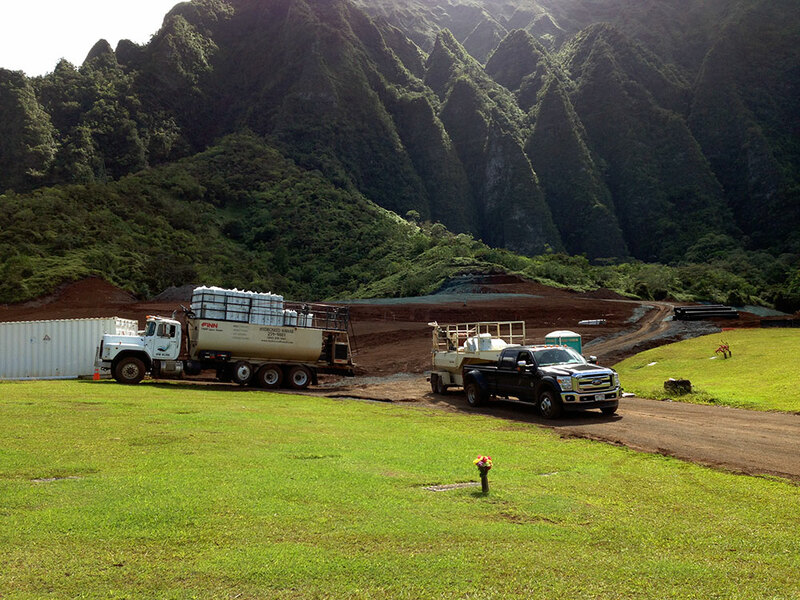 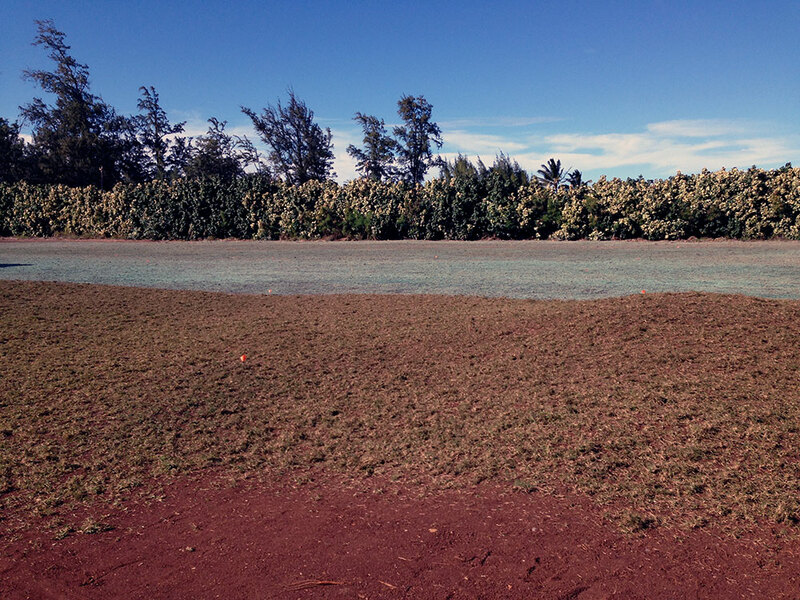 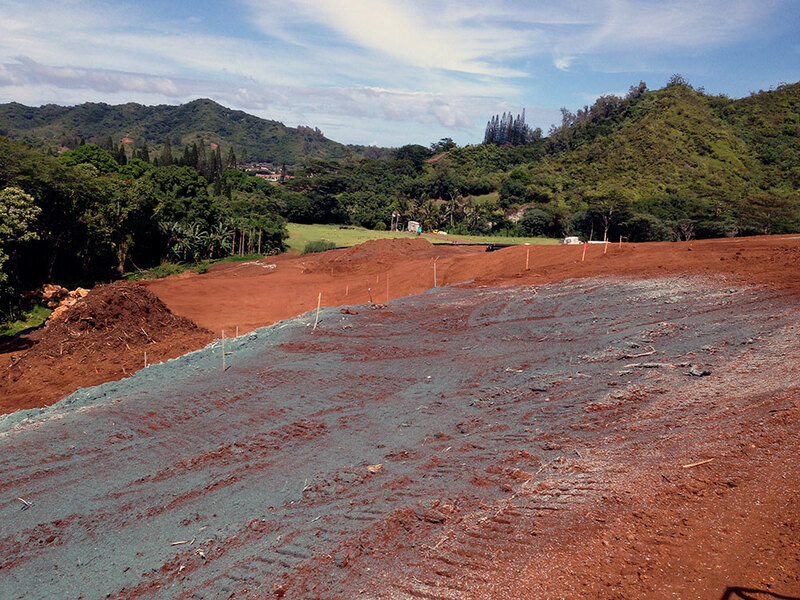 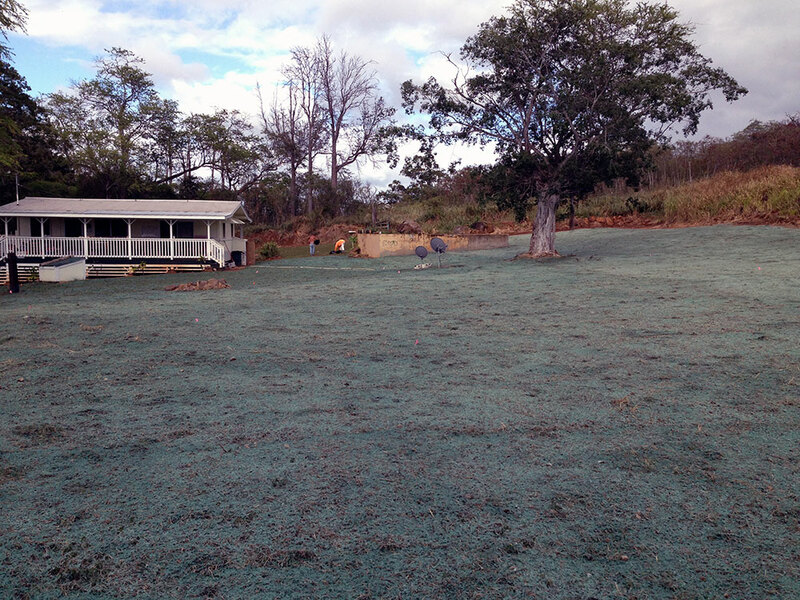 Sod generally cost 3-5 times more than hydroseeding. 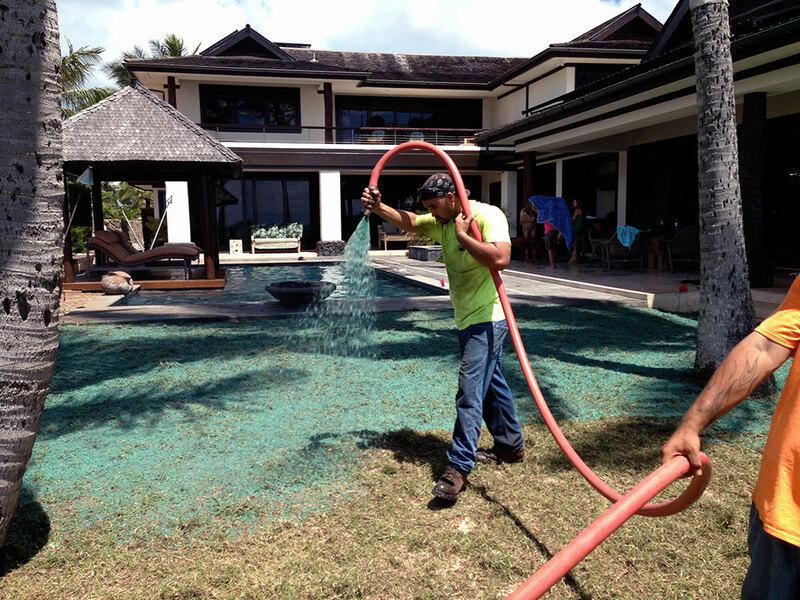 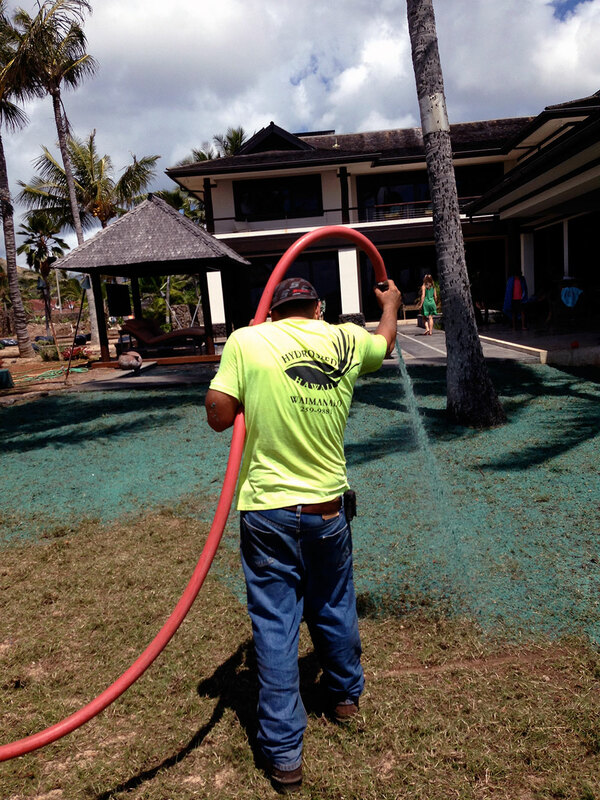 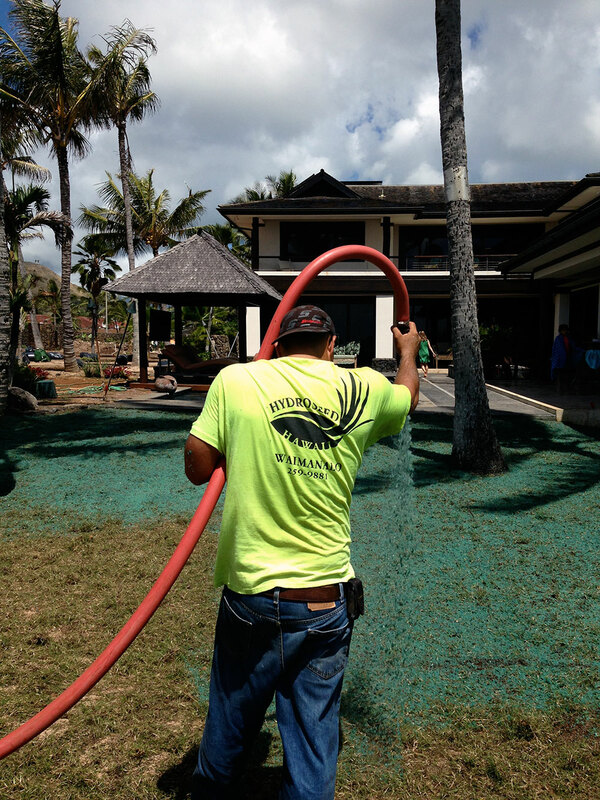 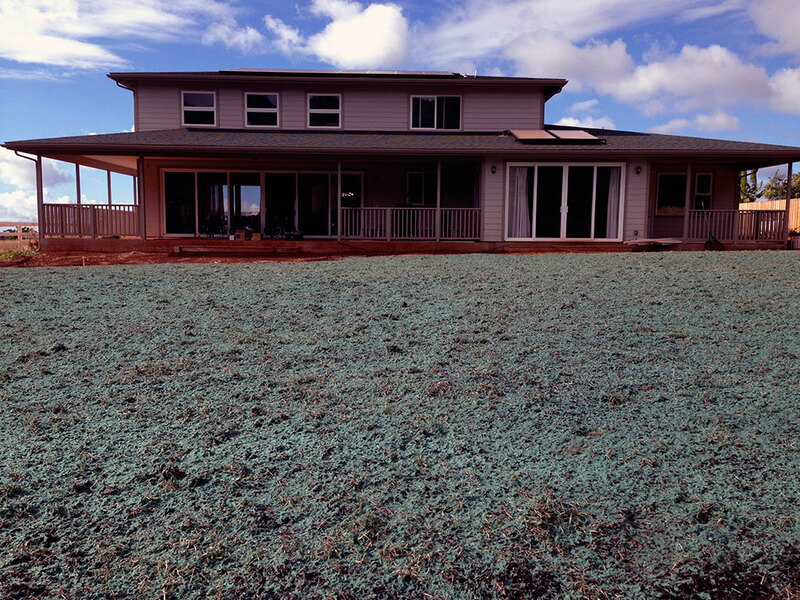 Hydroseeding is a fast, cost effective way to have a new lawn that will turn your neighbors green and envy. 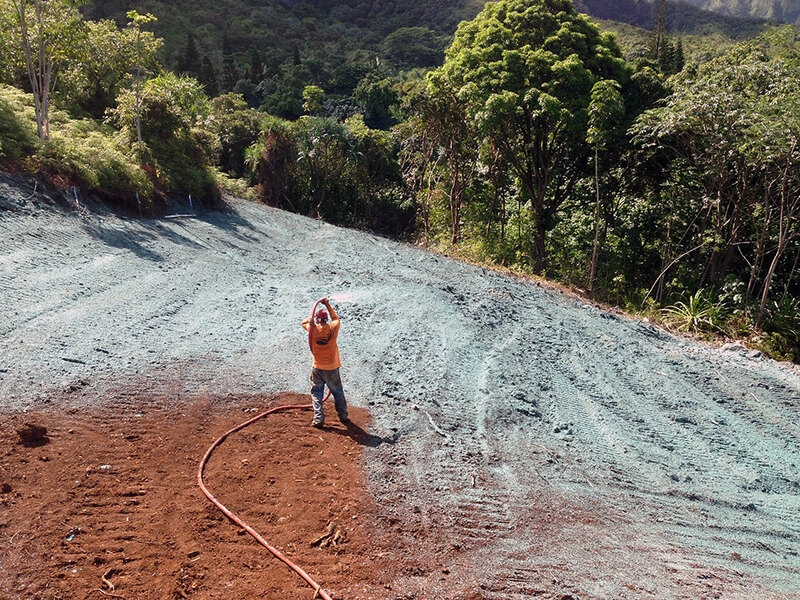 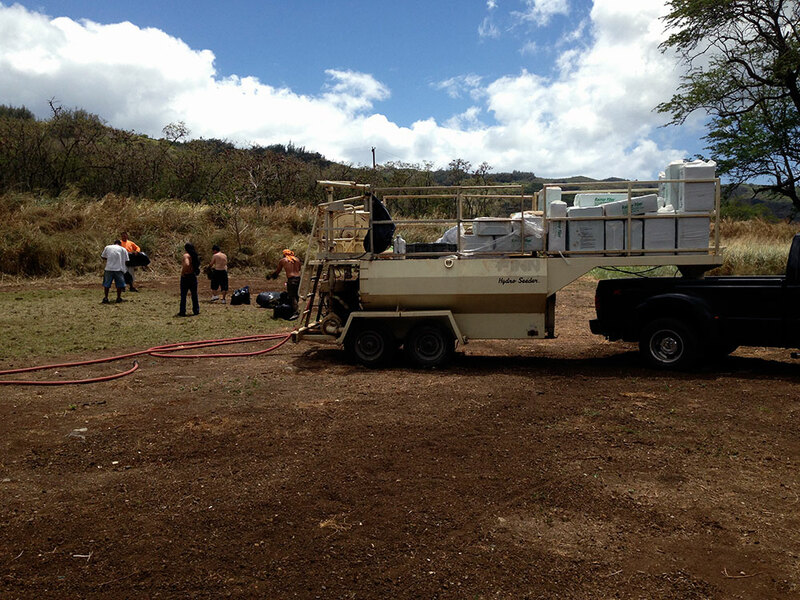 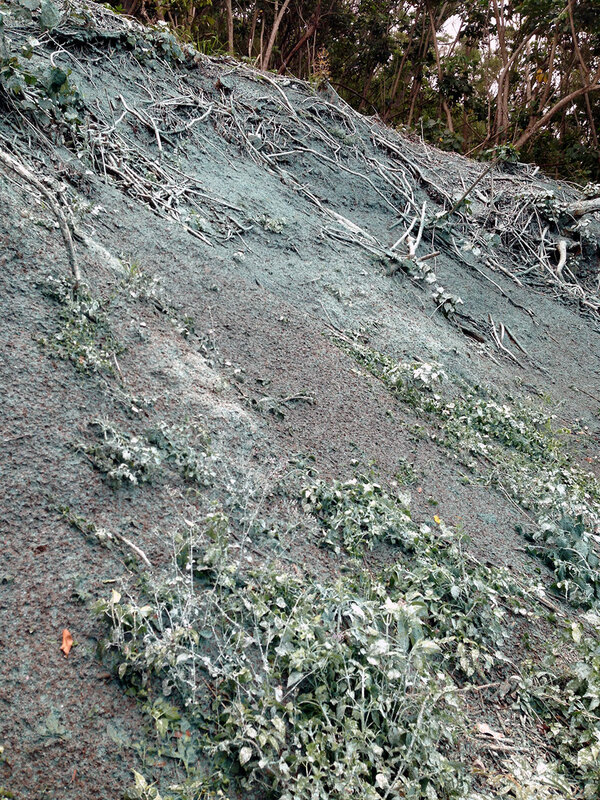 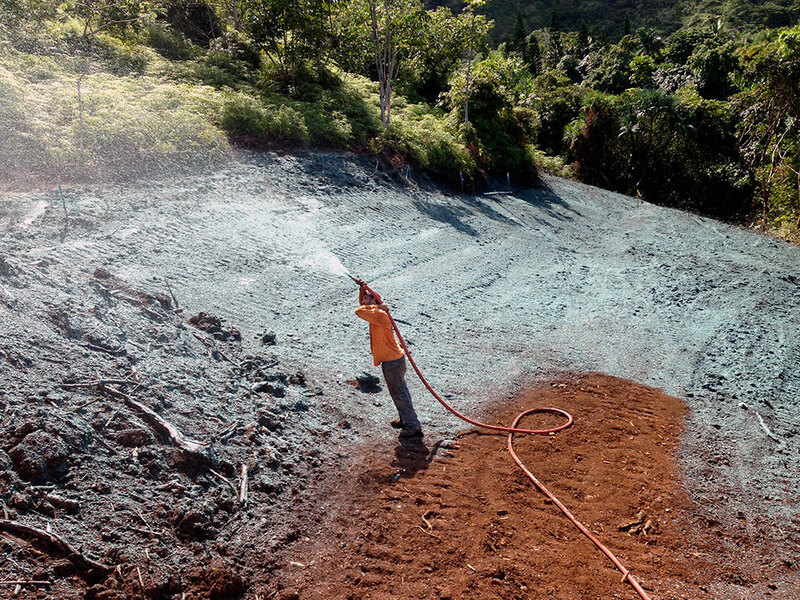 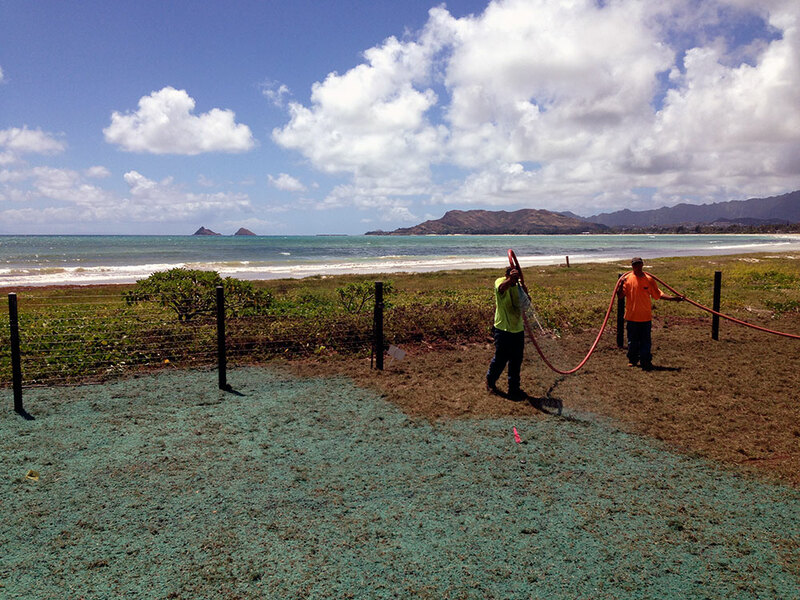 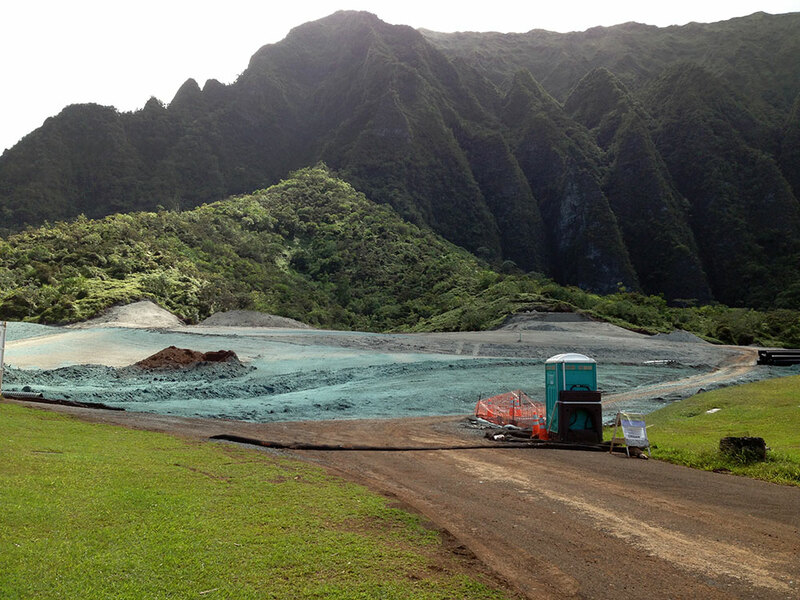 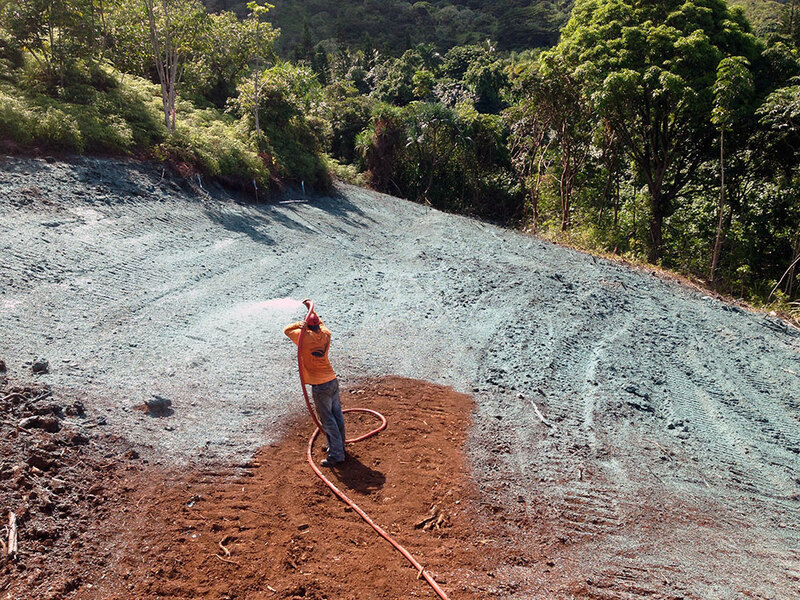 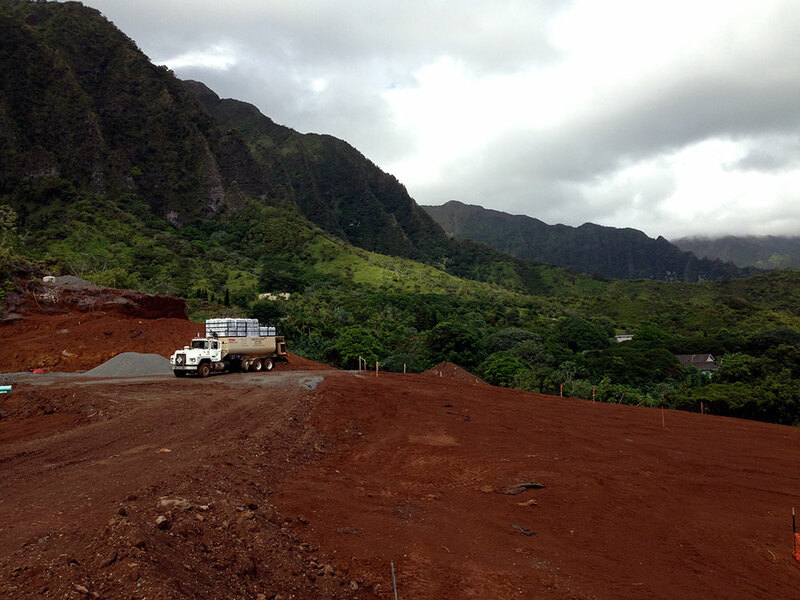 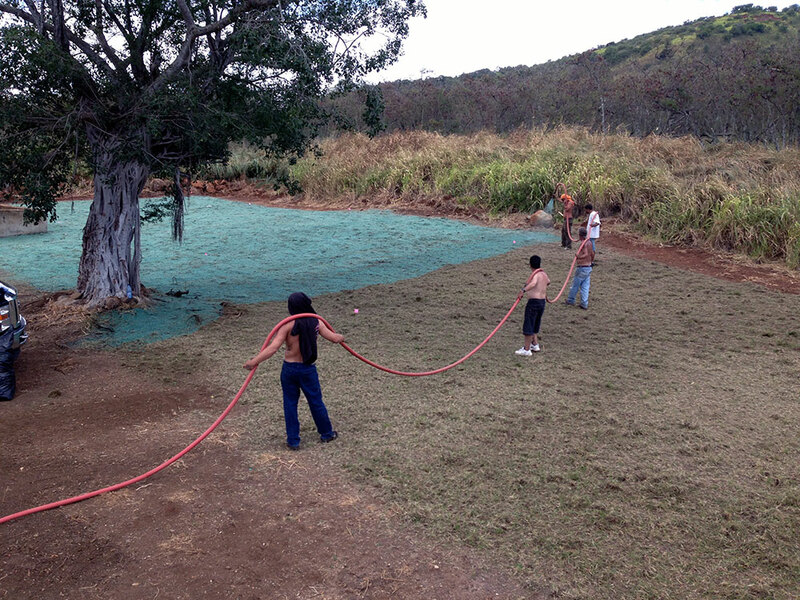 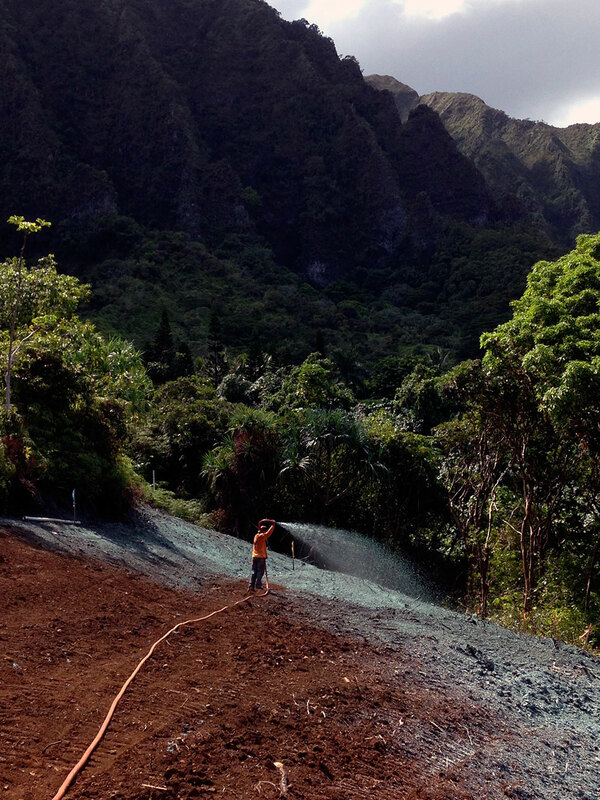 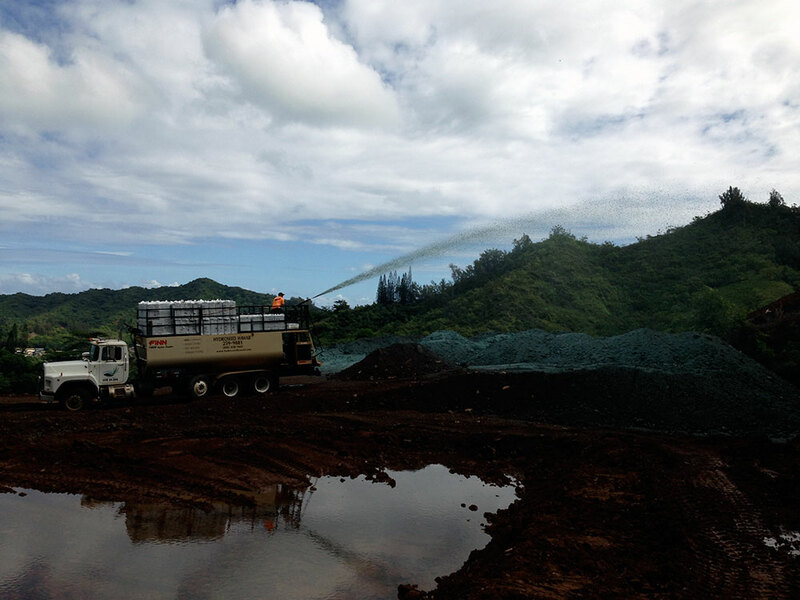 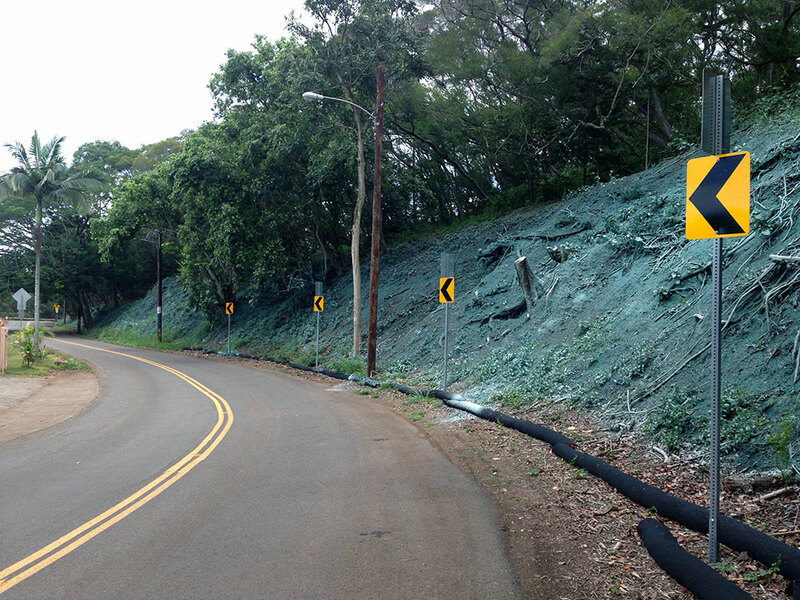 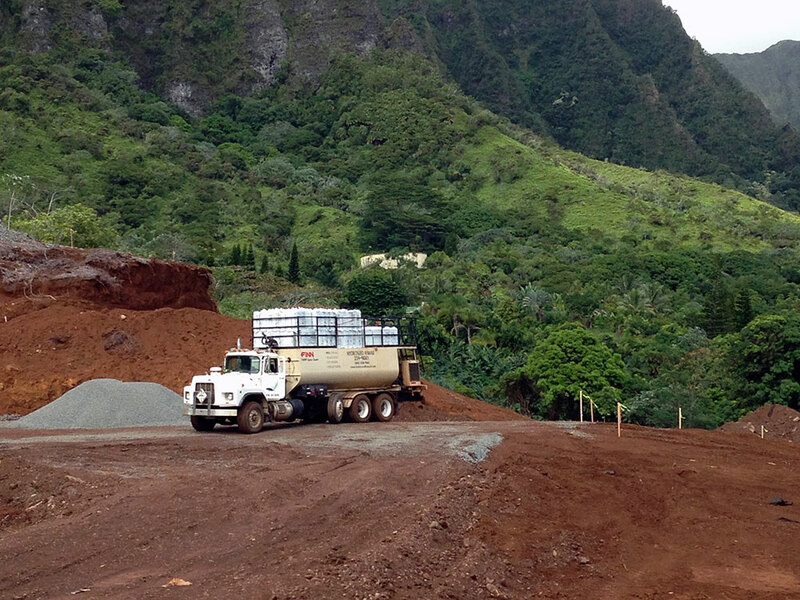 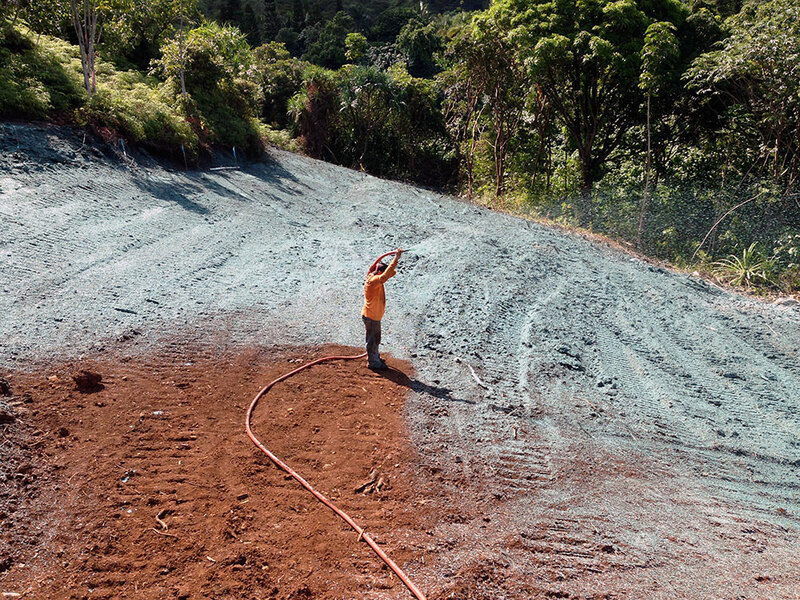 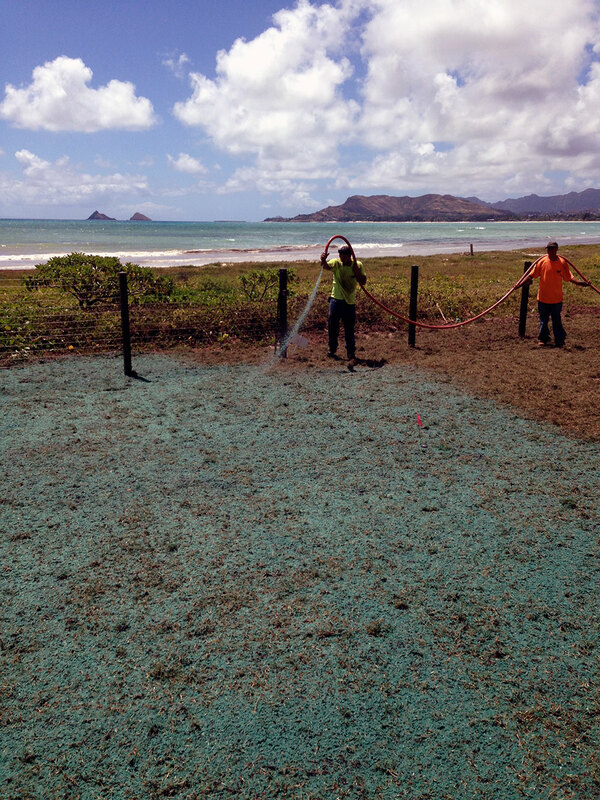 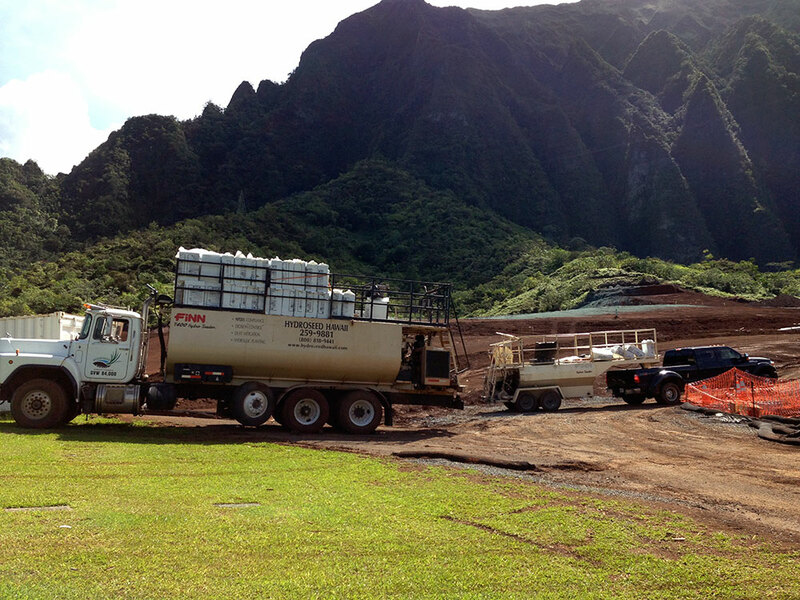 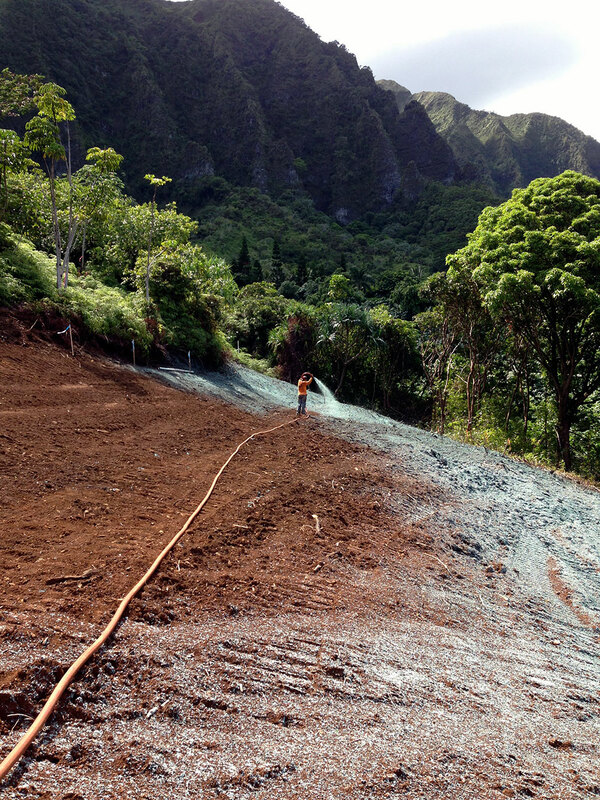 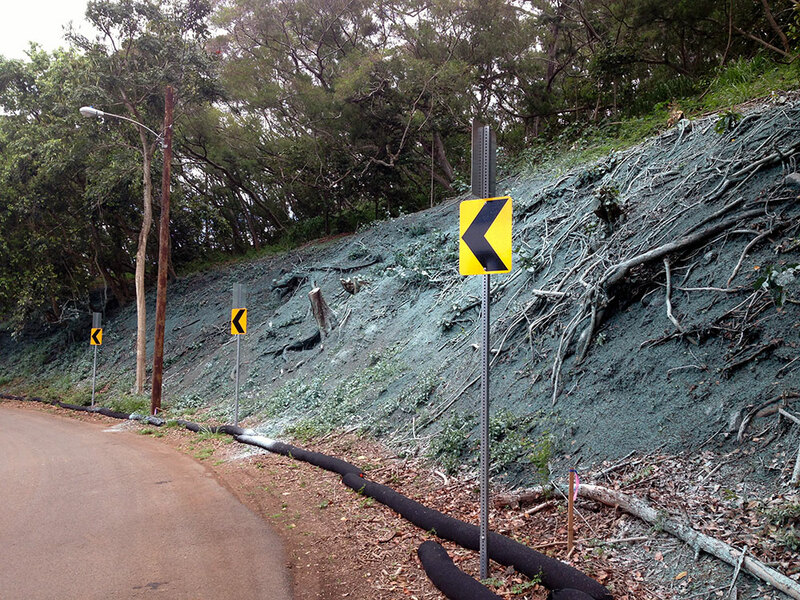 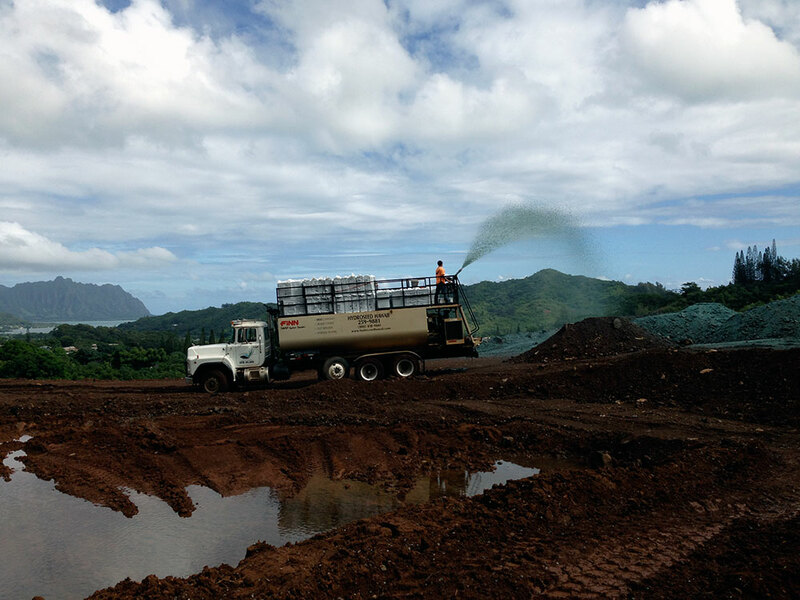 Hydroseeding is really a simple process. 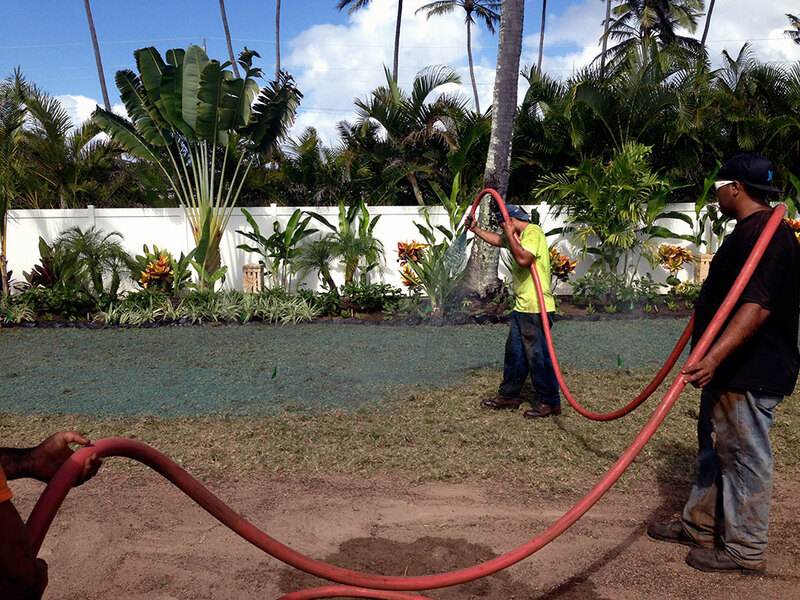 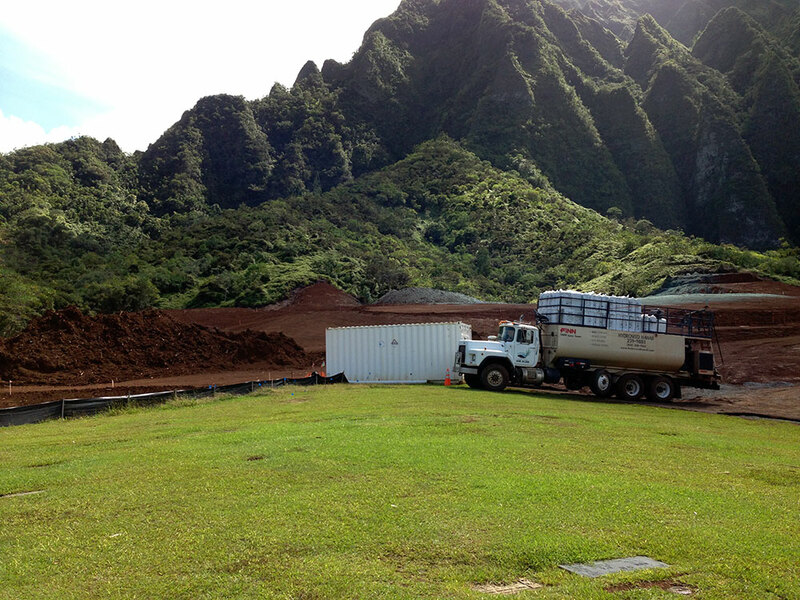 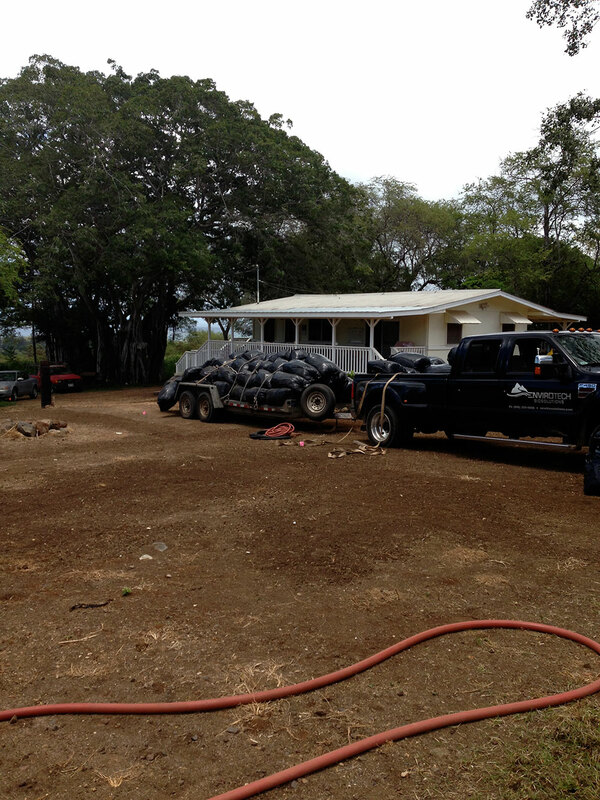 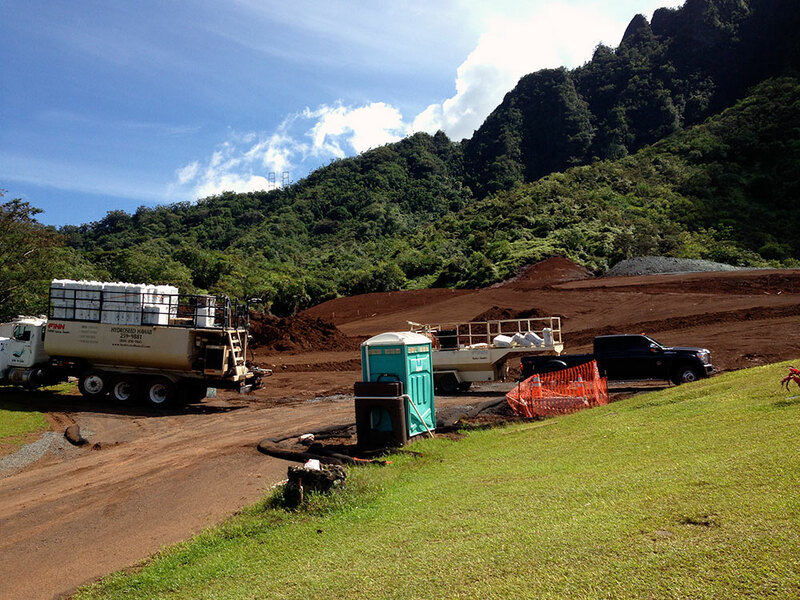 Water,seed,fertilizer and a protective mulch is mixed in a tank and sprayed onto the ground. 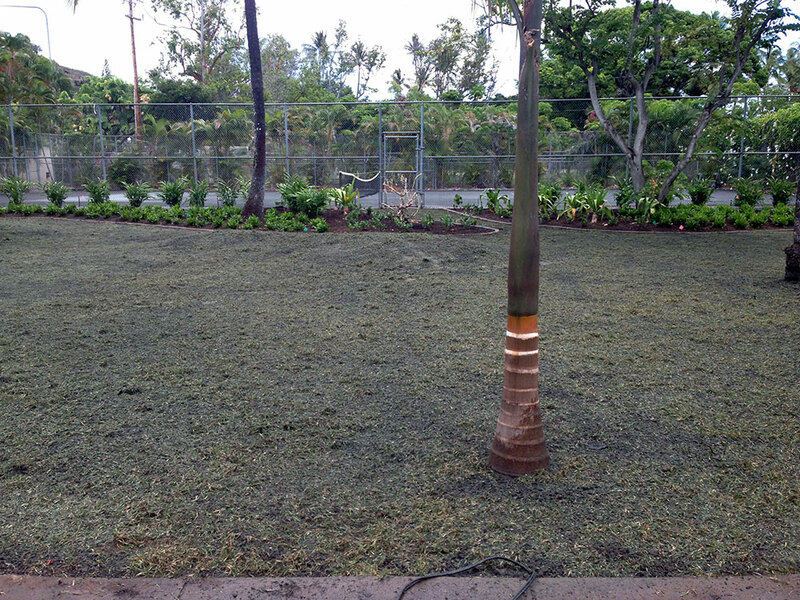 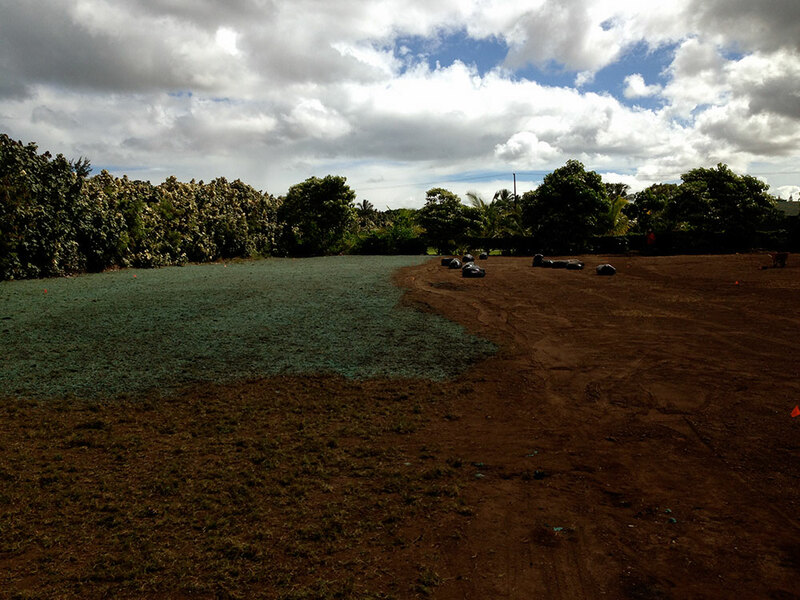 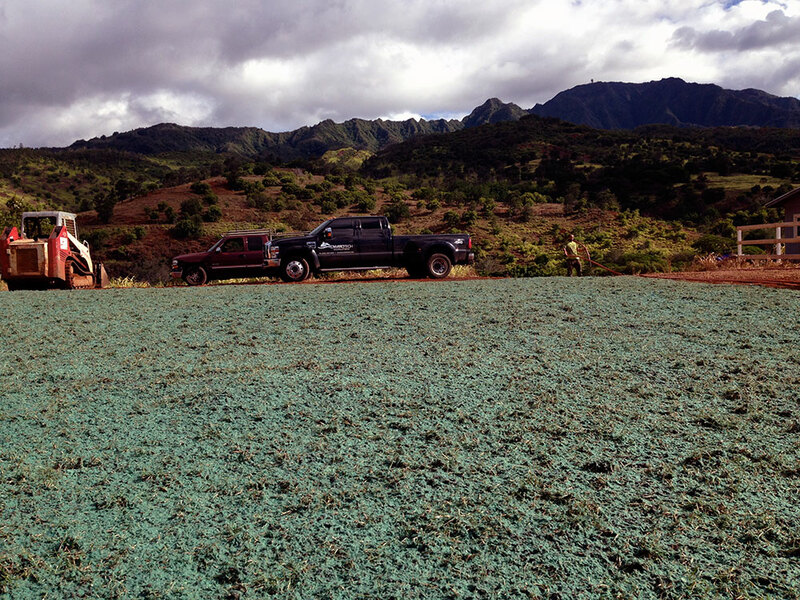 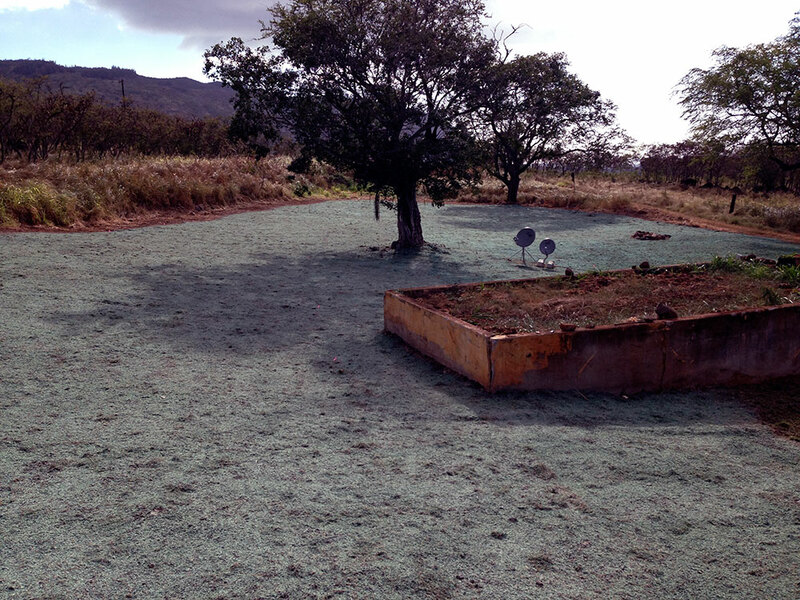 With hydroseeding, the new seedlings are grown on top your soil. 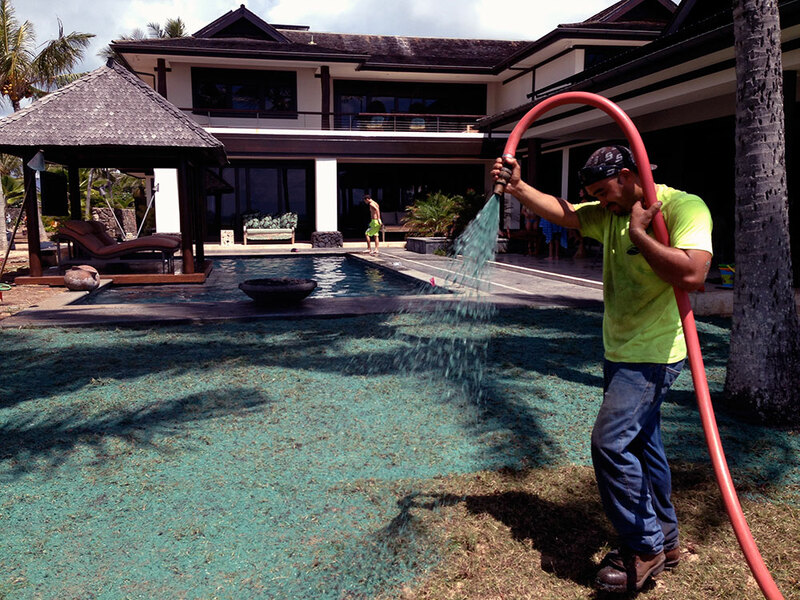 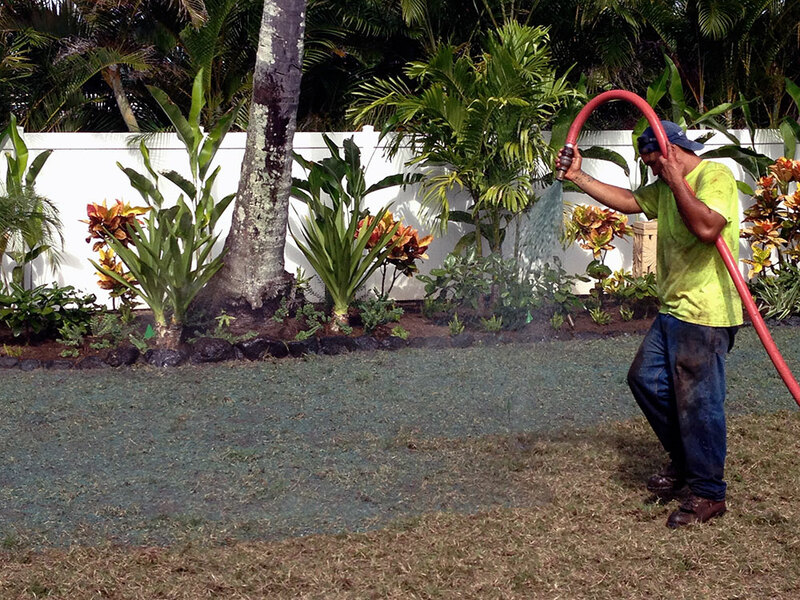 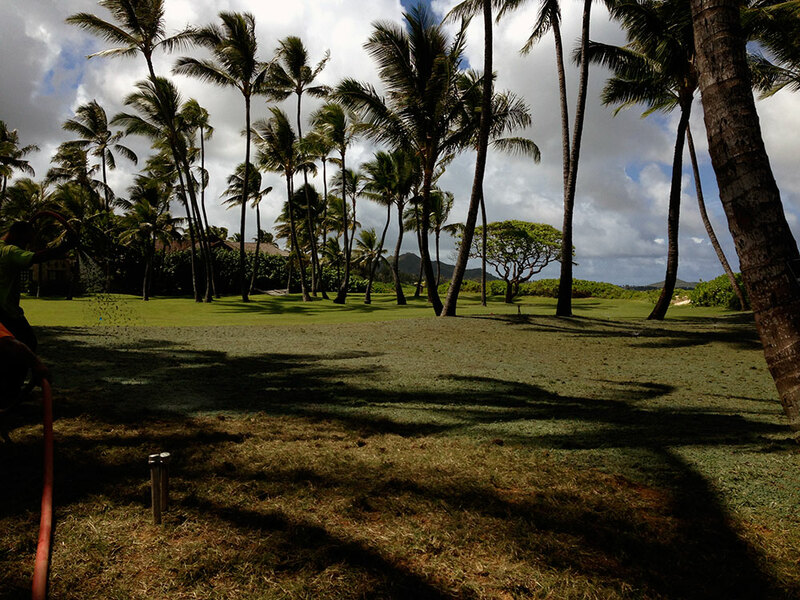 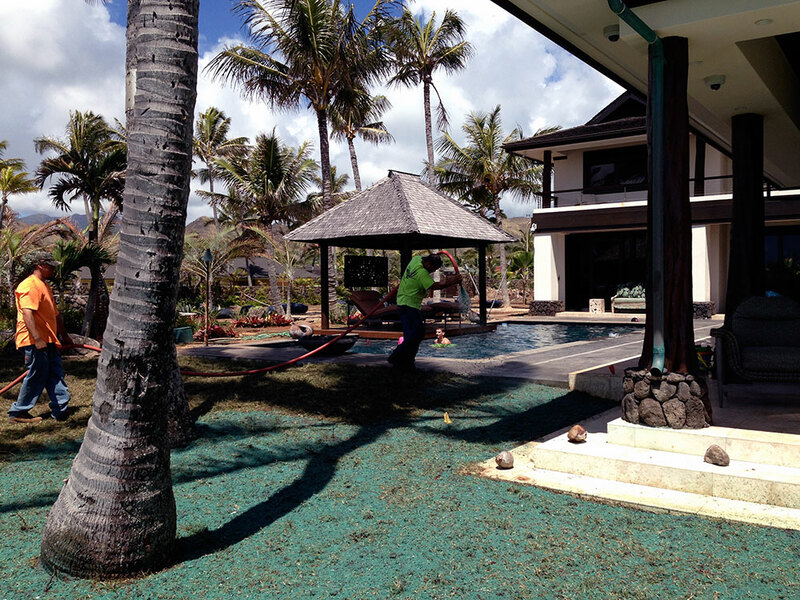 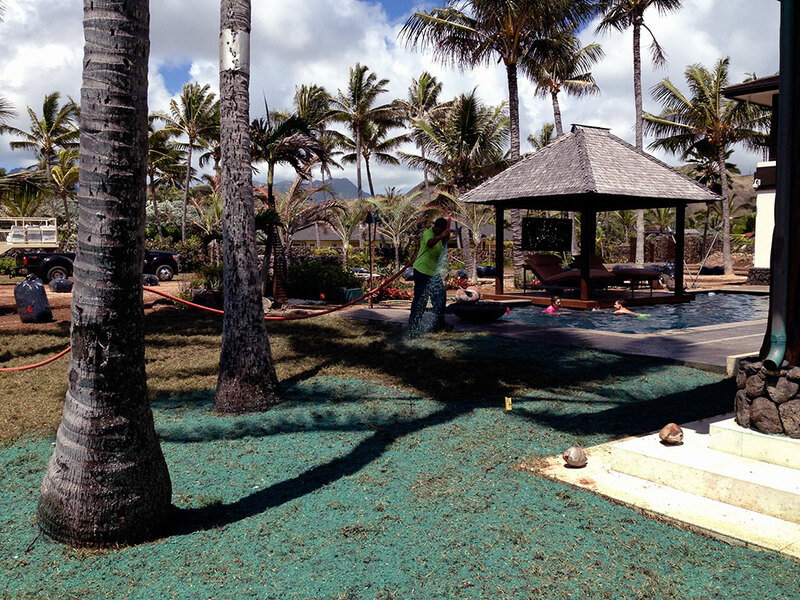 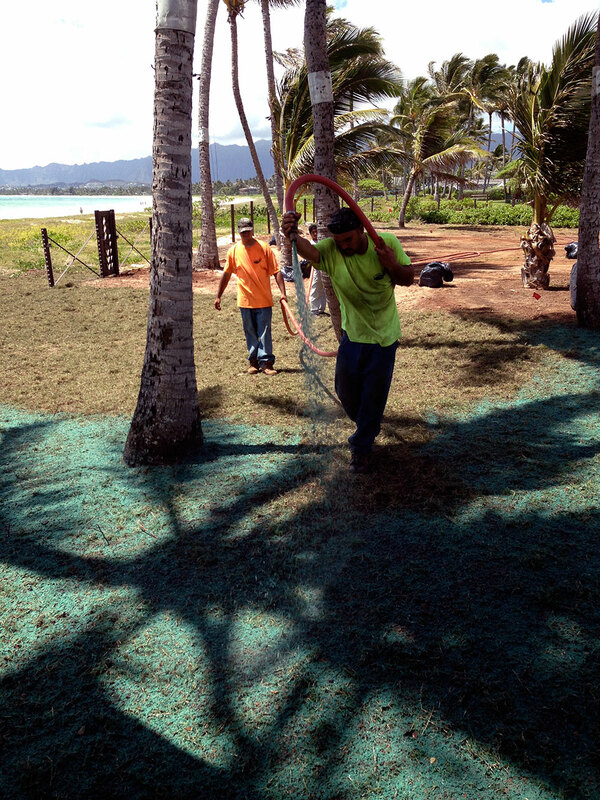 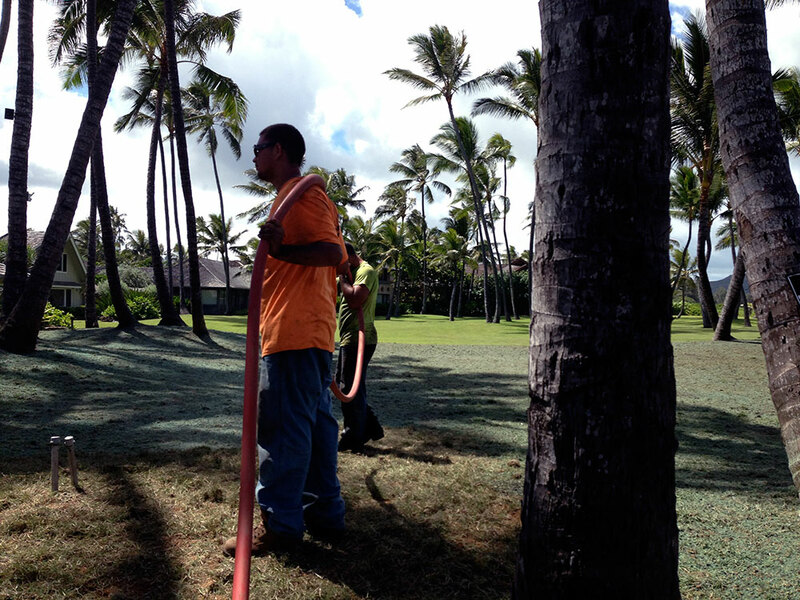 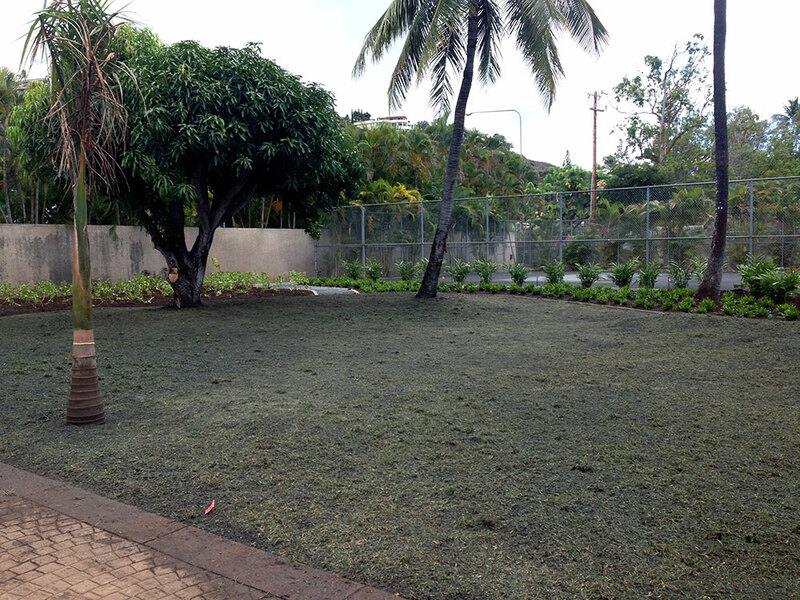 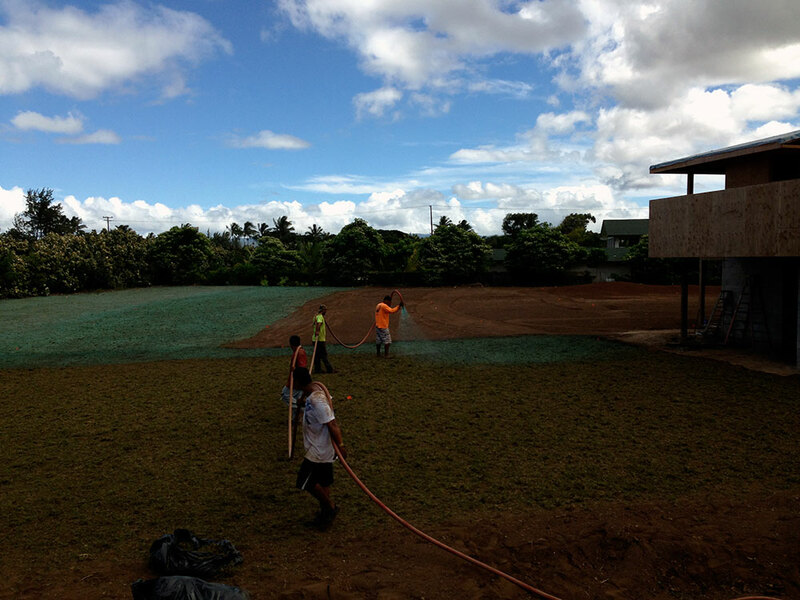 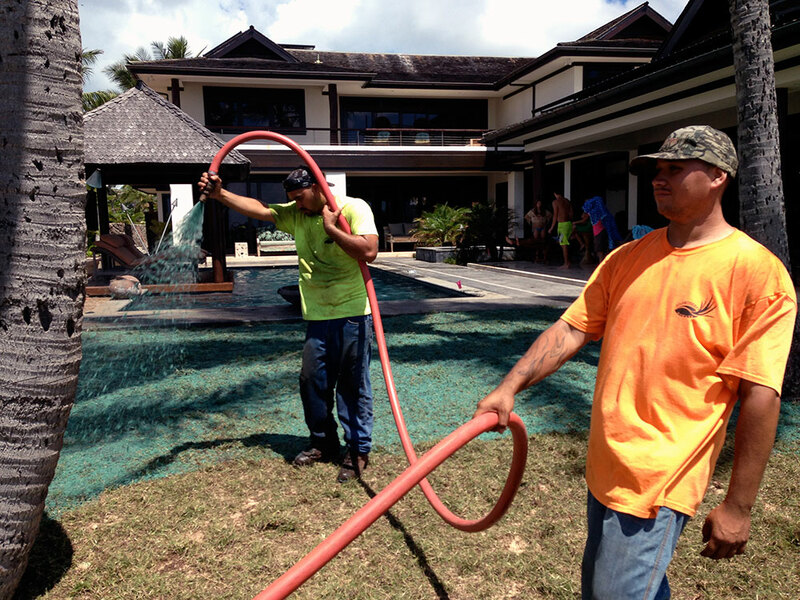 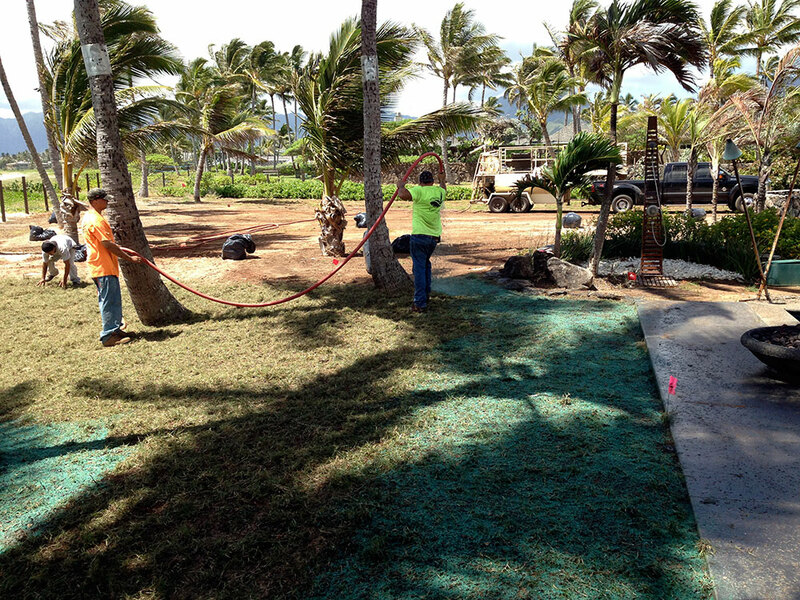 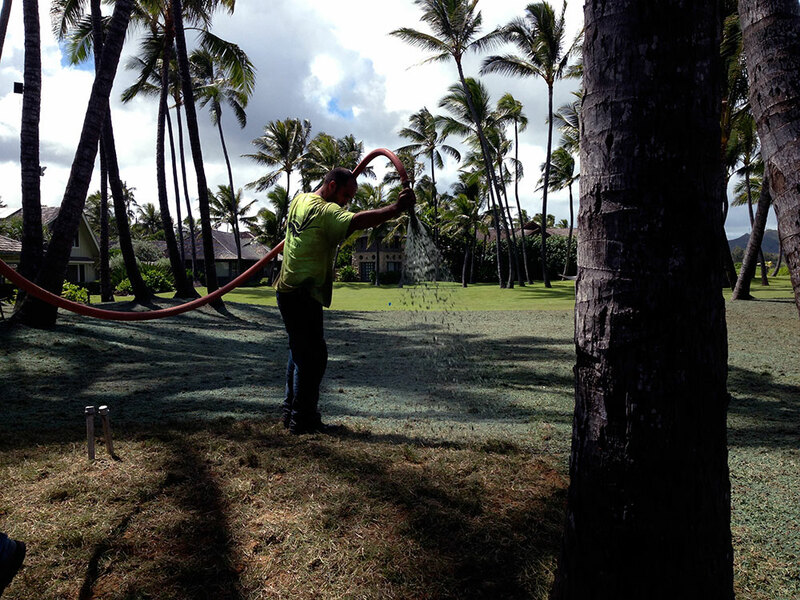 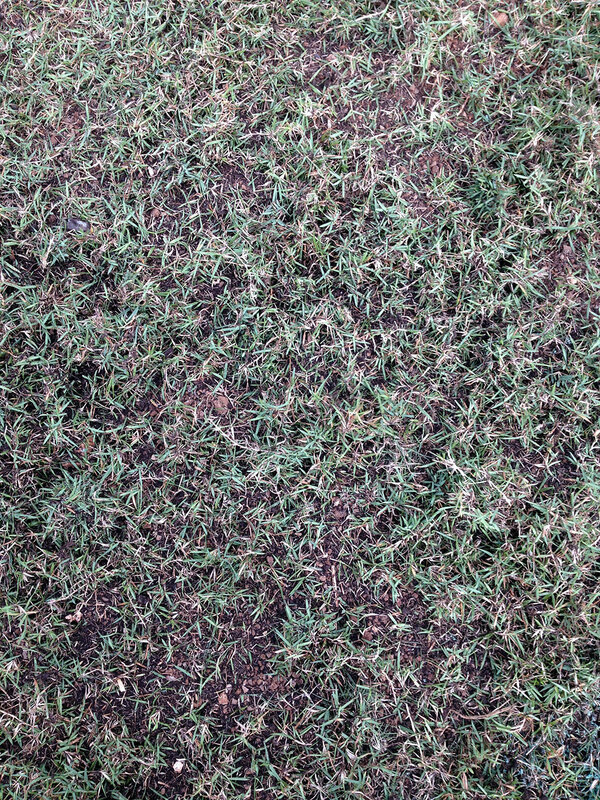 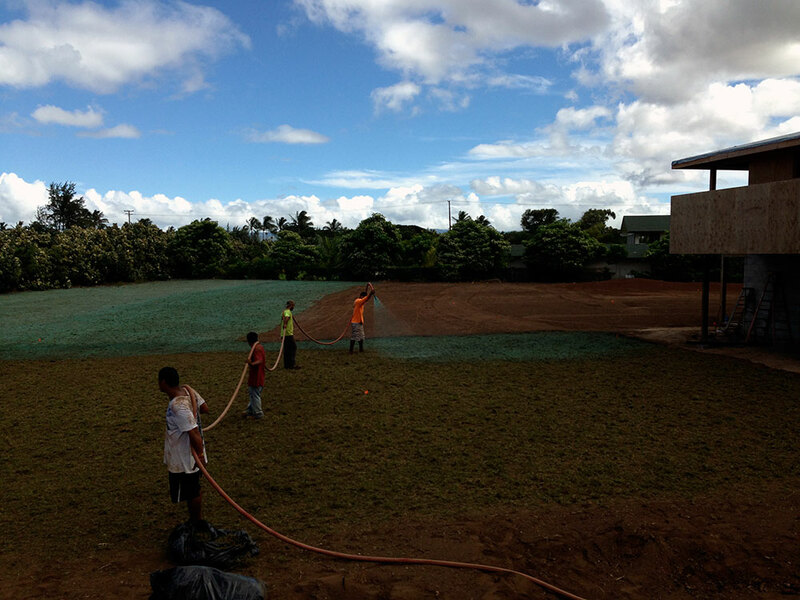 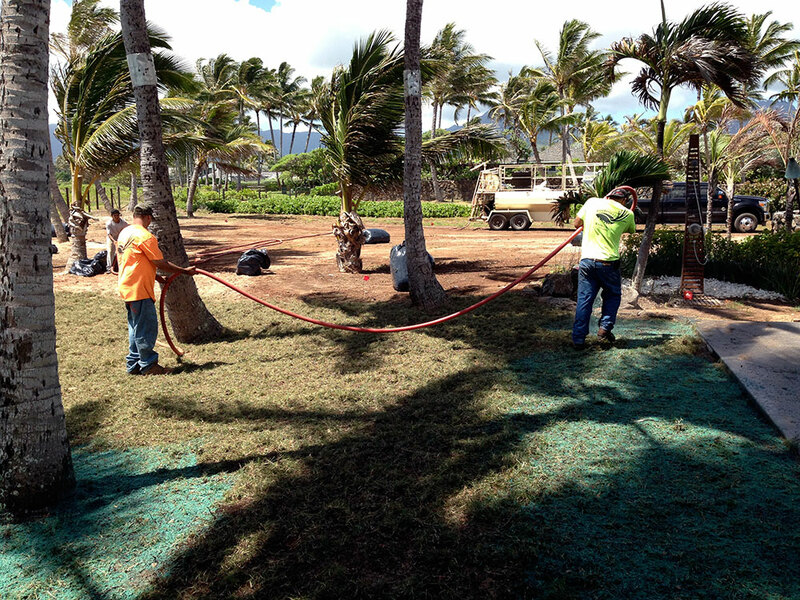 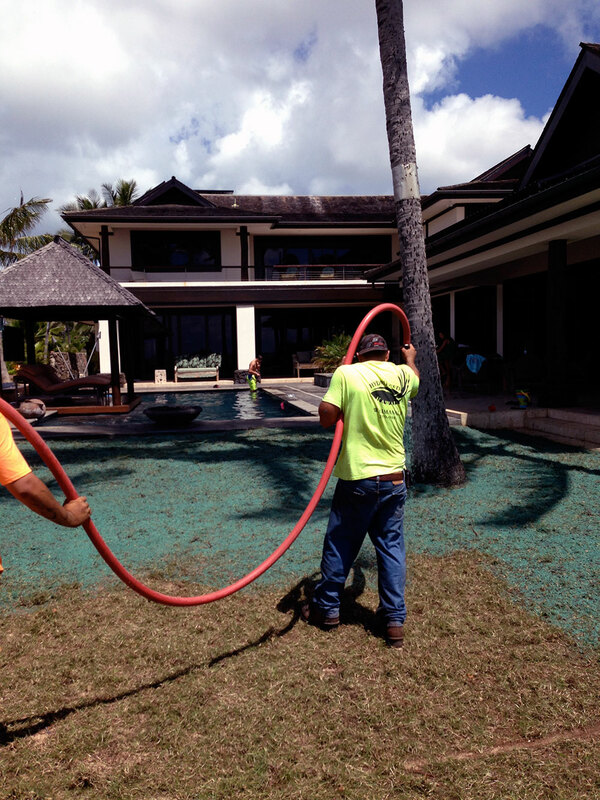 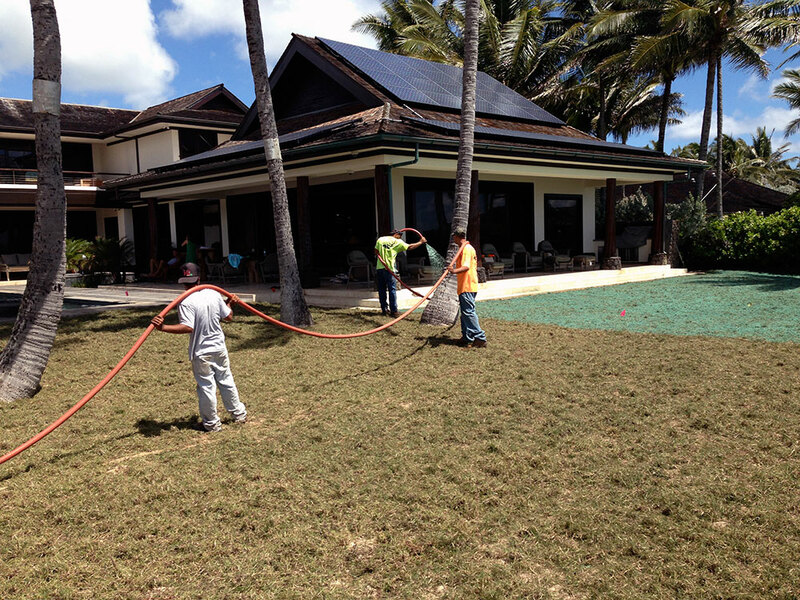 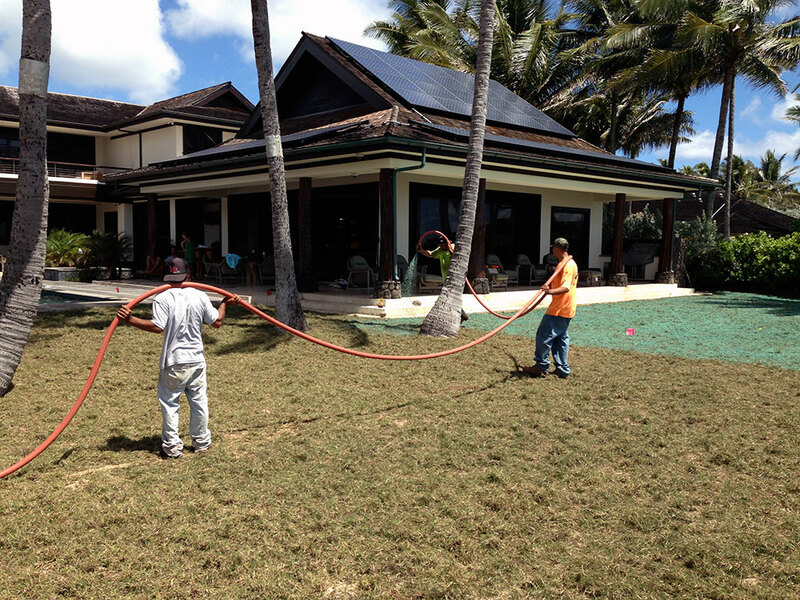 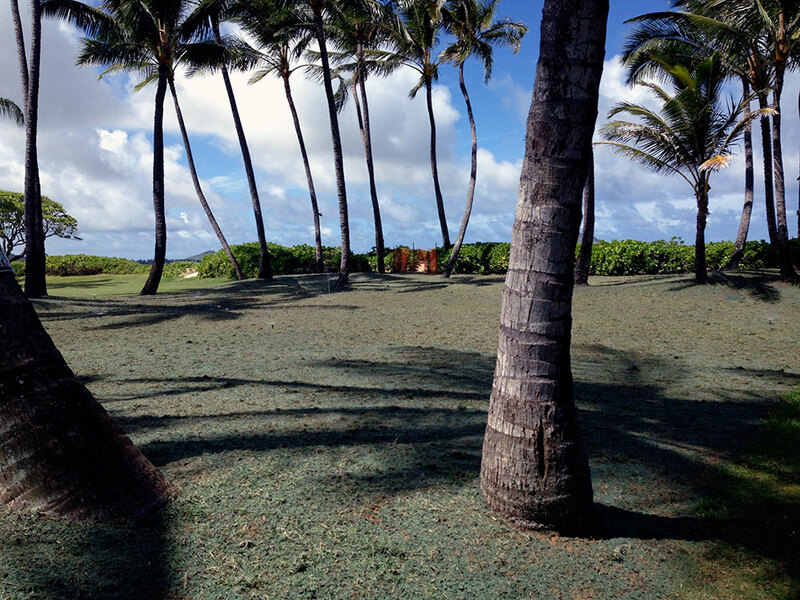 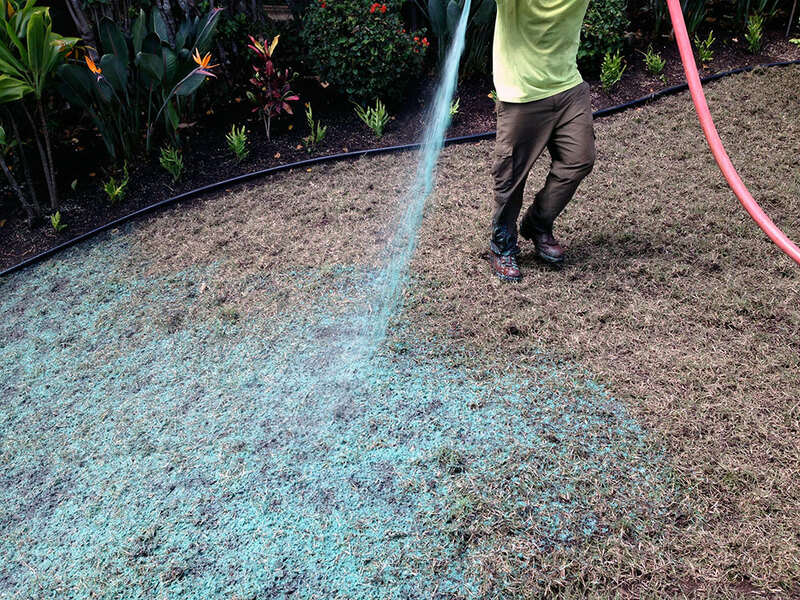 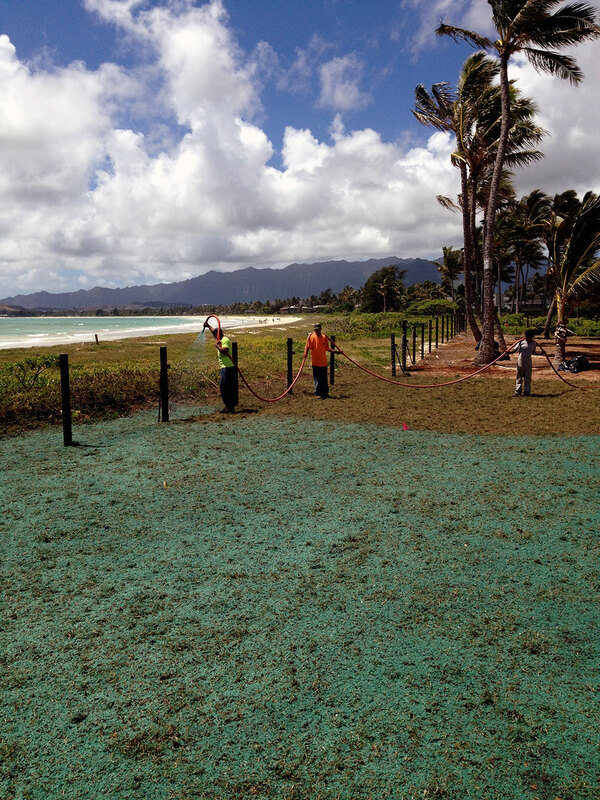 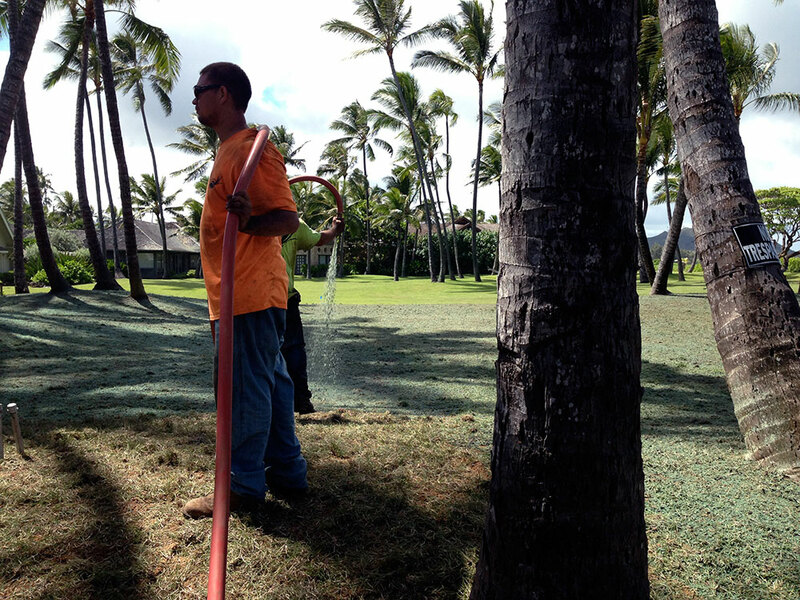 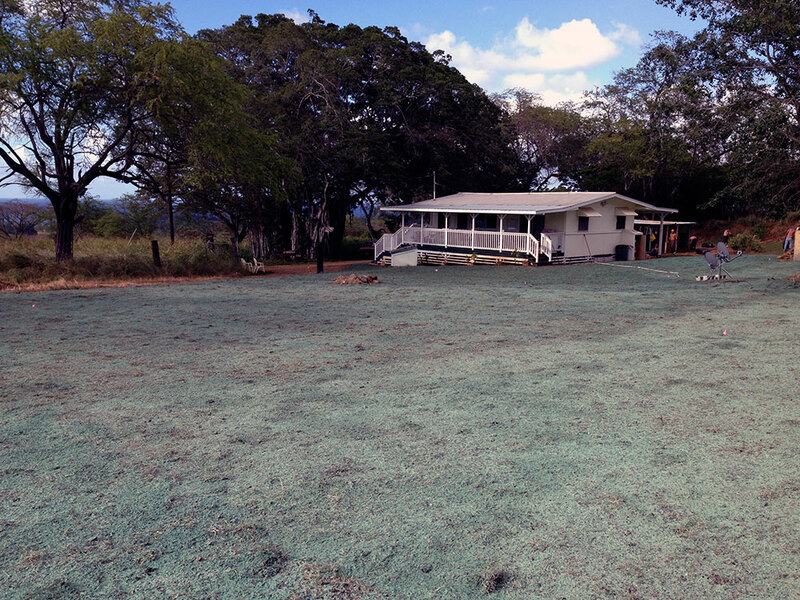 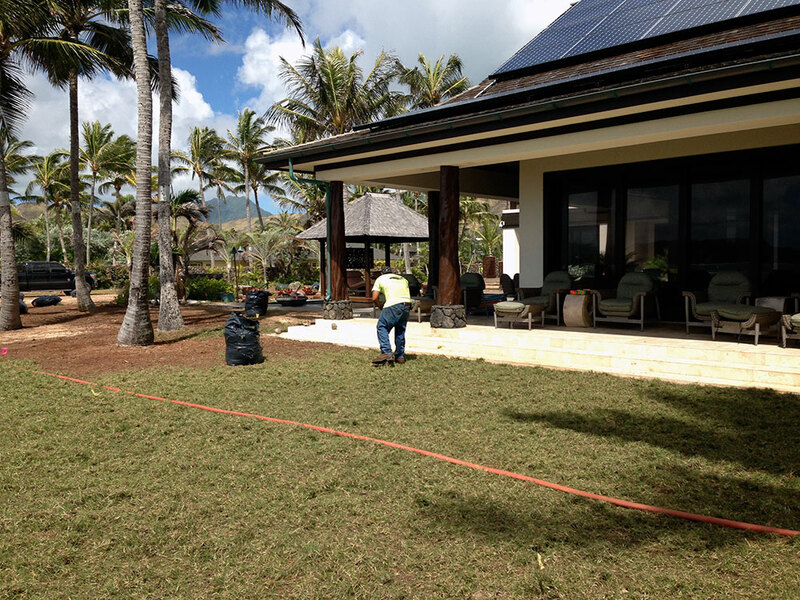 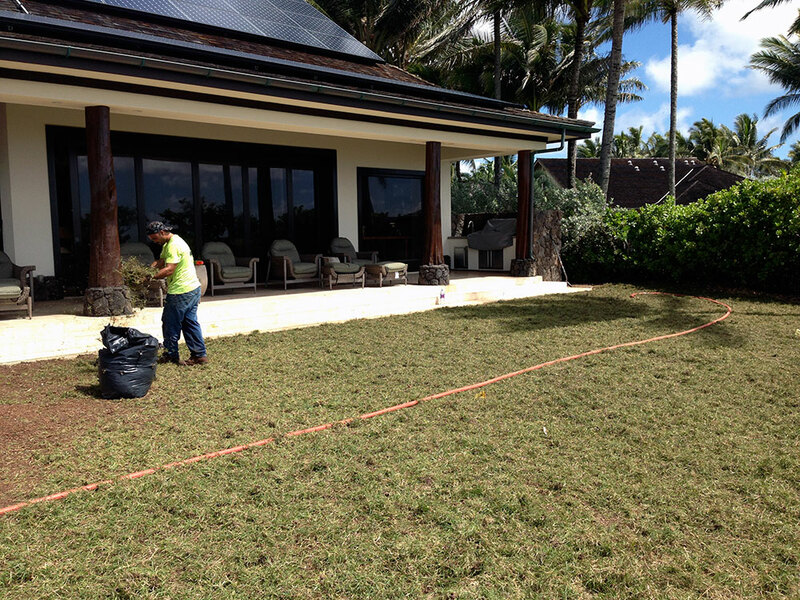 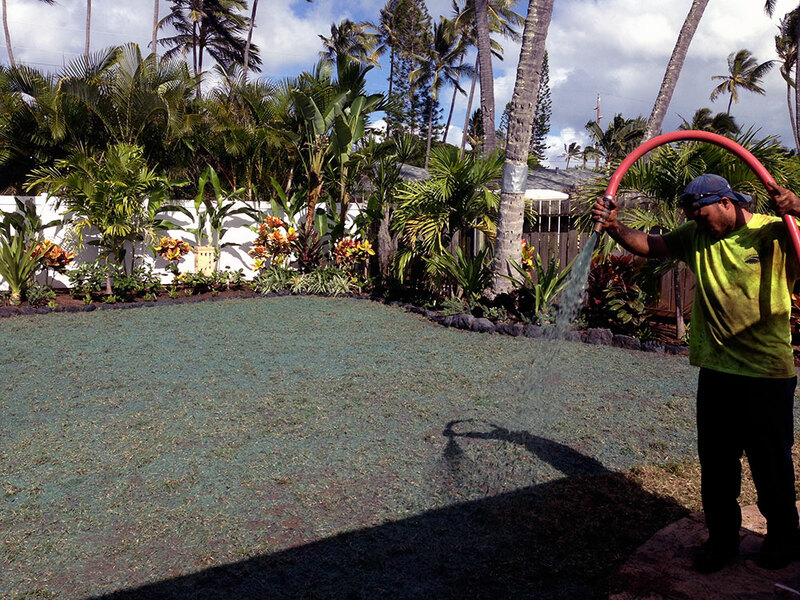 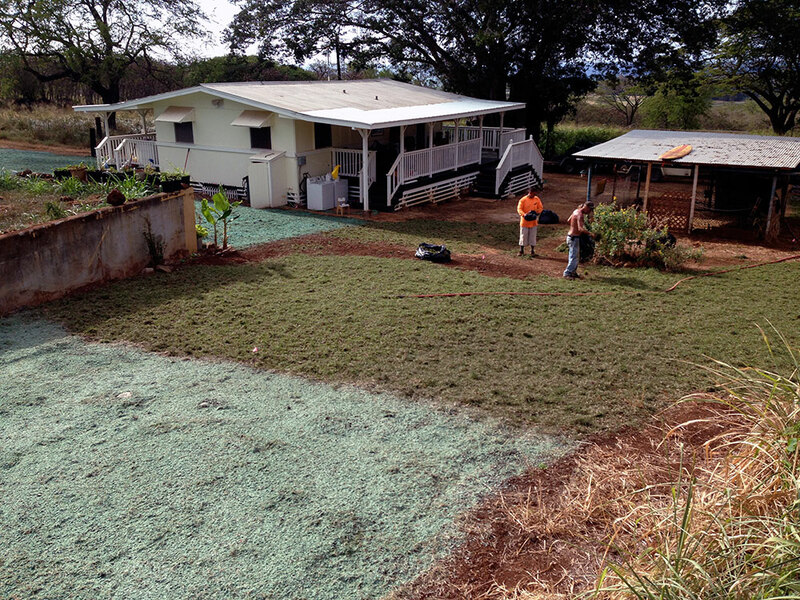 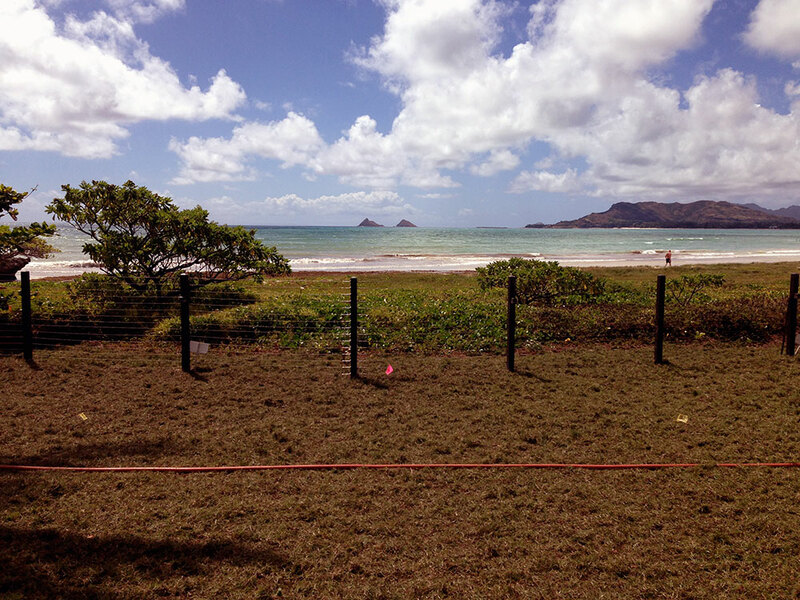 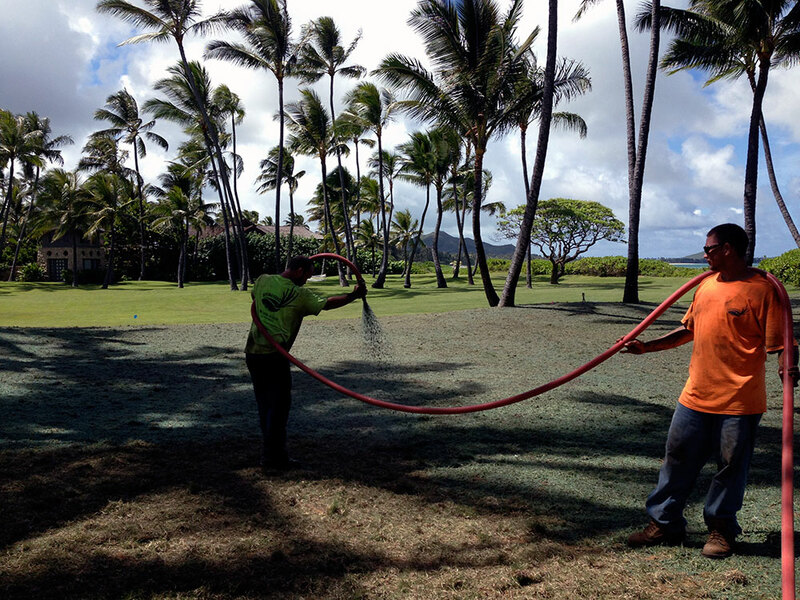 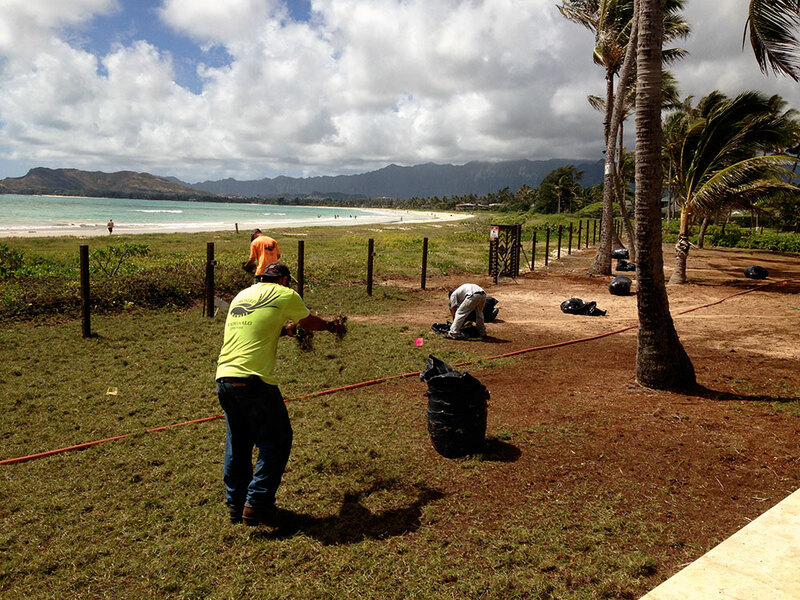 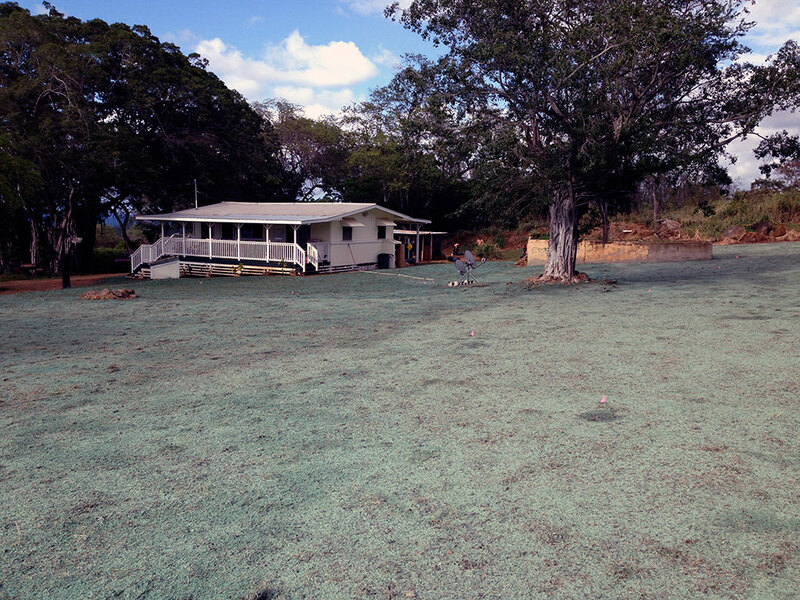 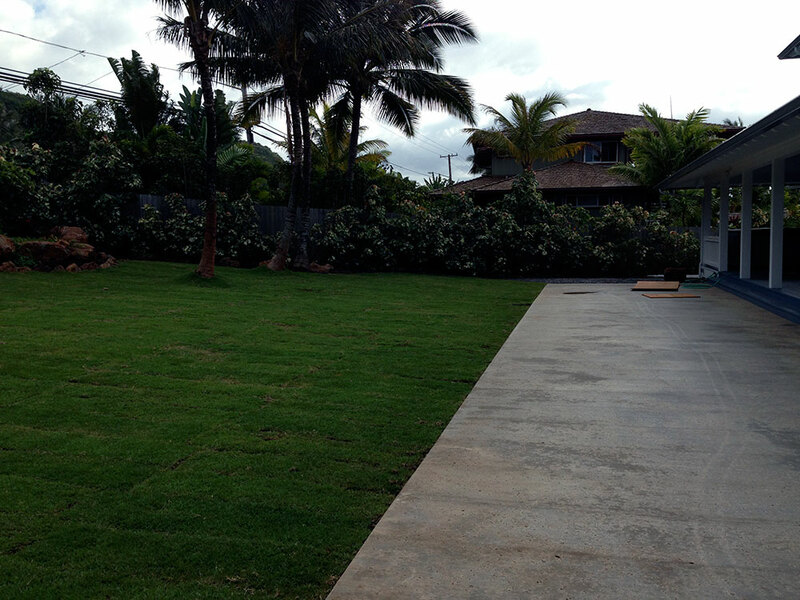 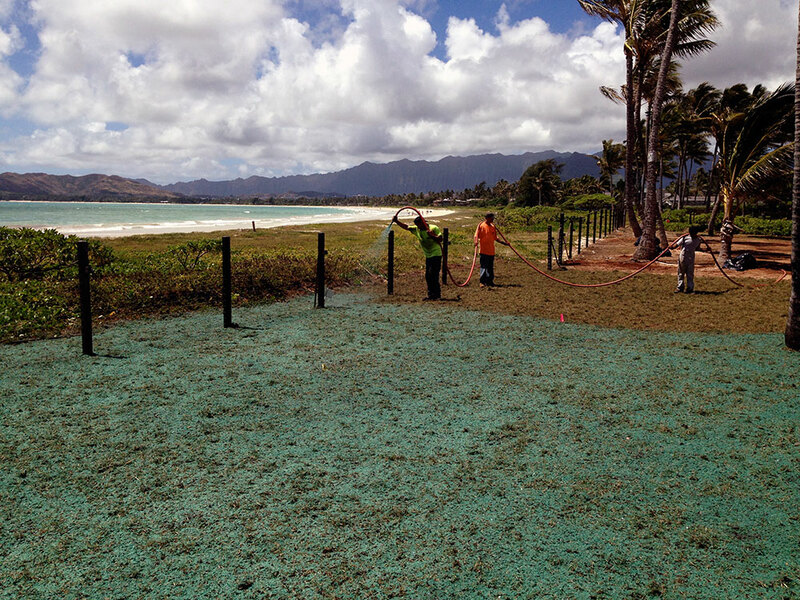 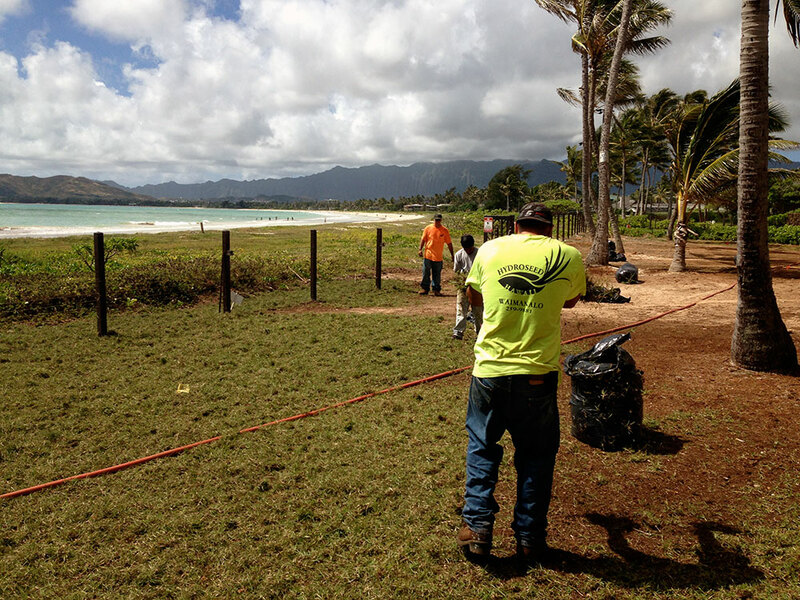 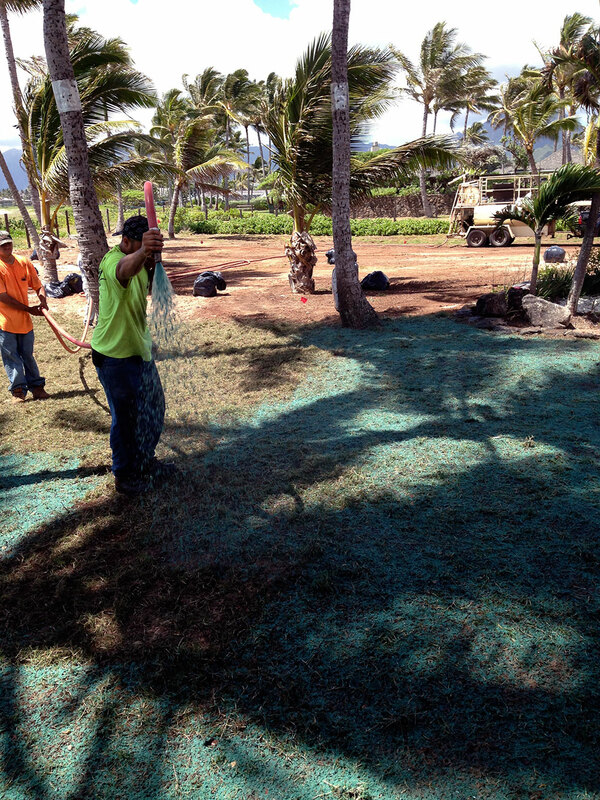 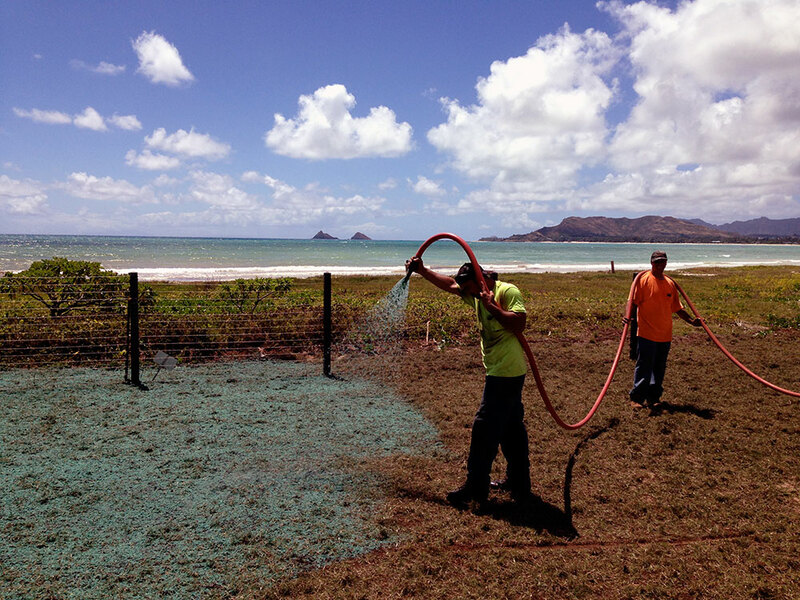 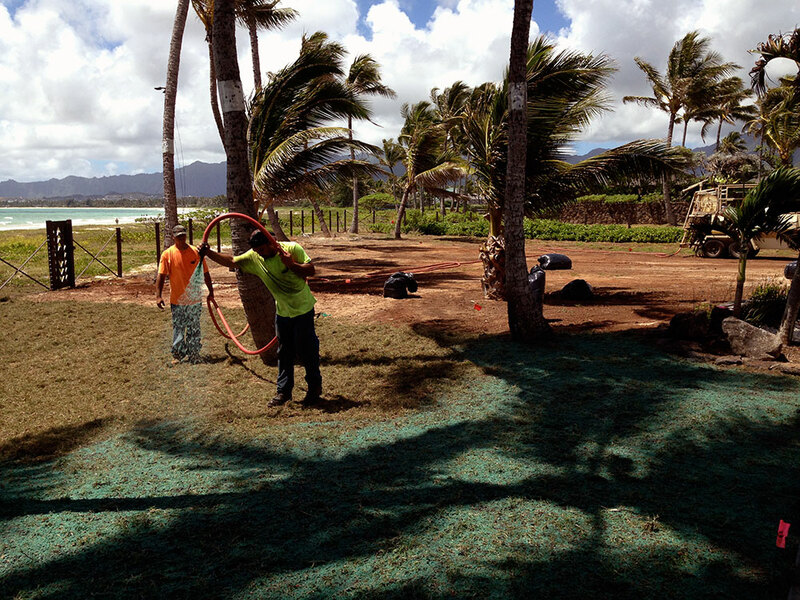 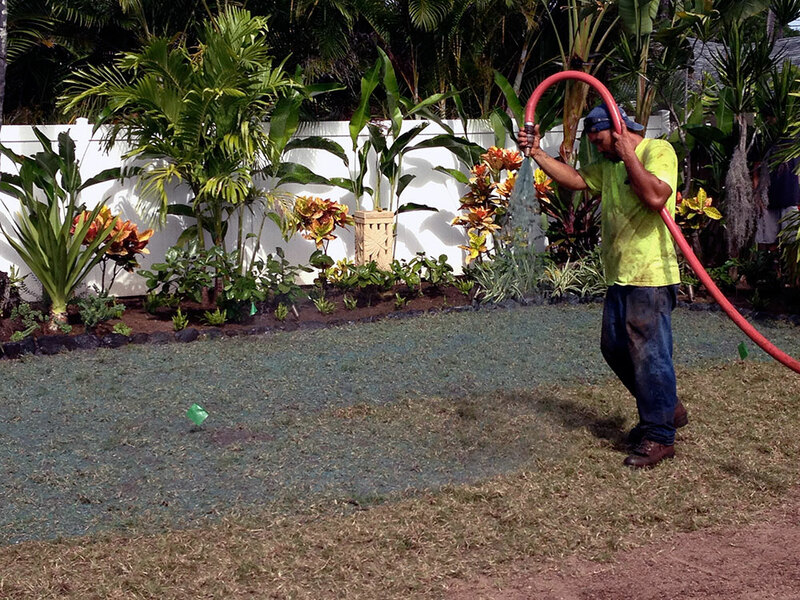 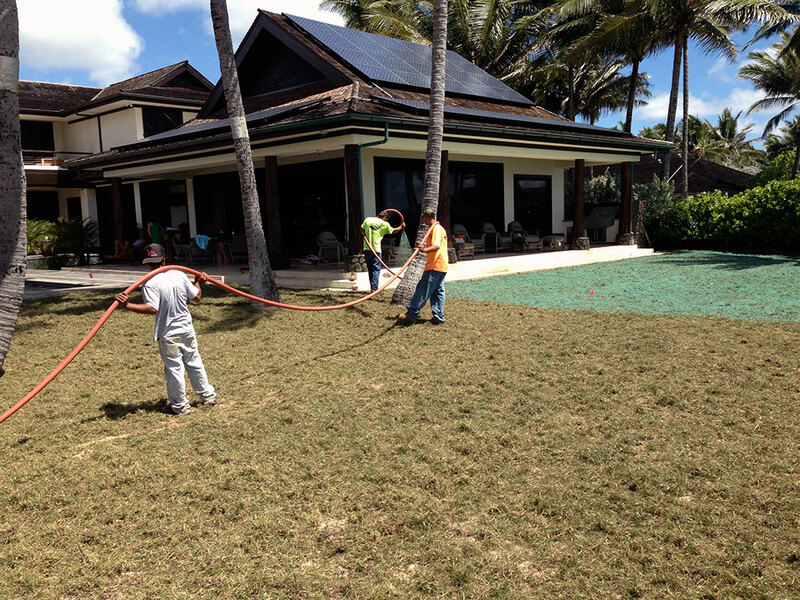 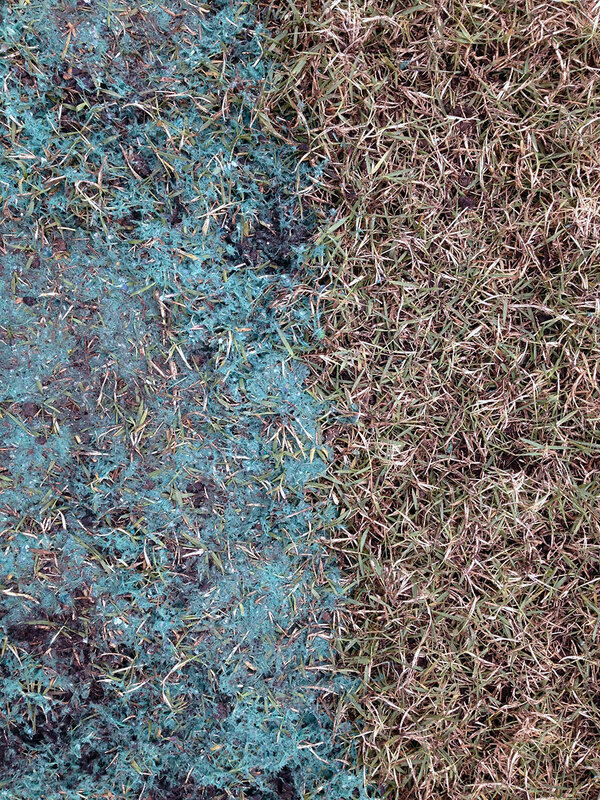 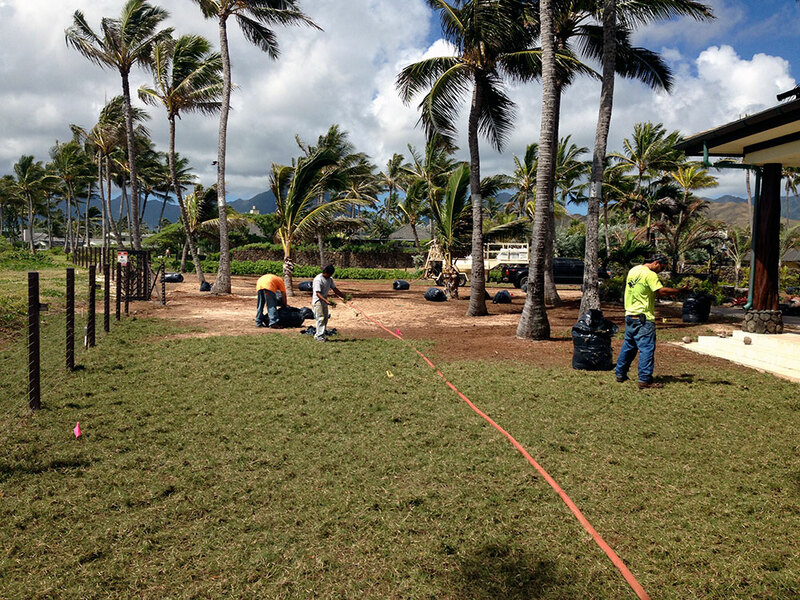 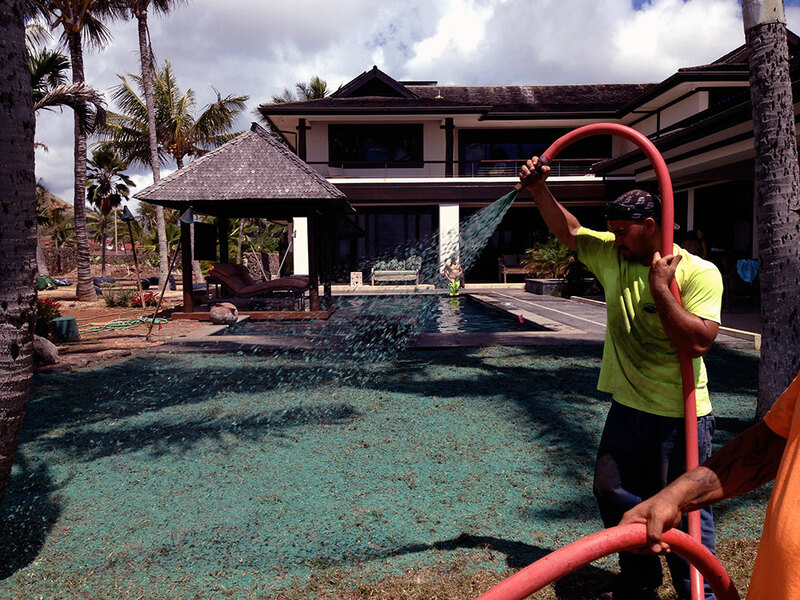 Sod generally costs 3 to 5 times more than hydroseeding. 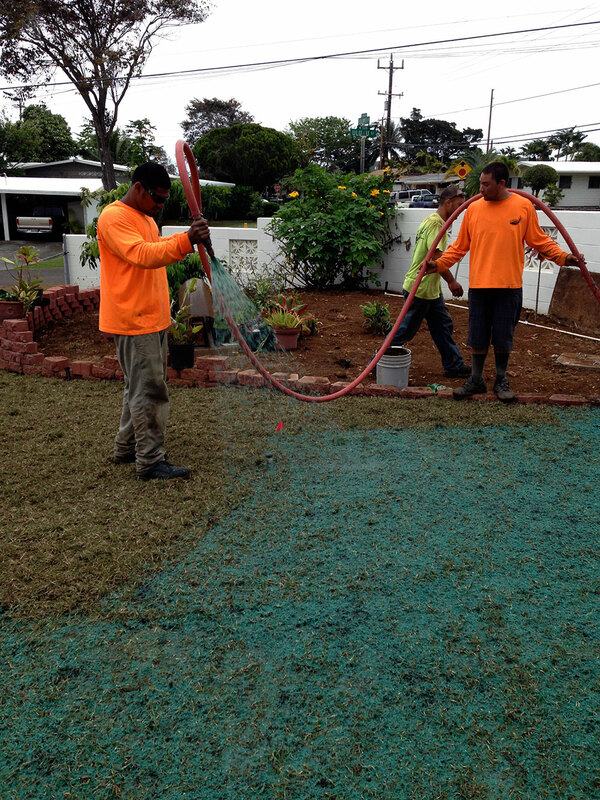 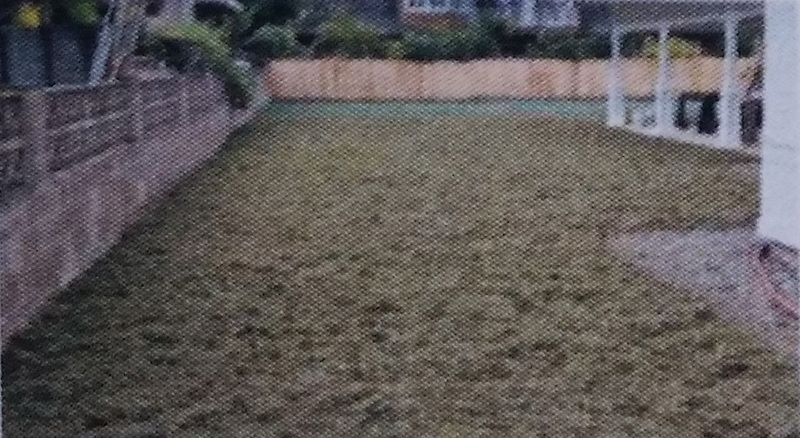 Hydroseeded lawns come up fast. 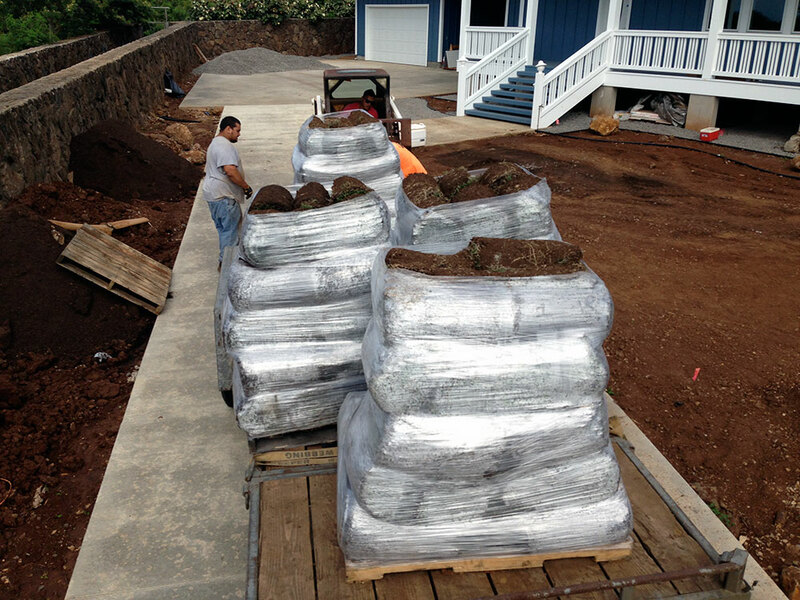 We often see it take in as little as 3-5 days. 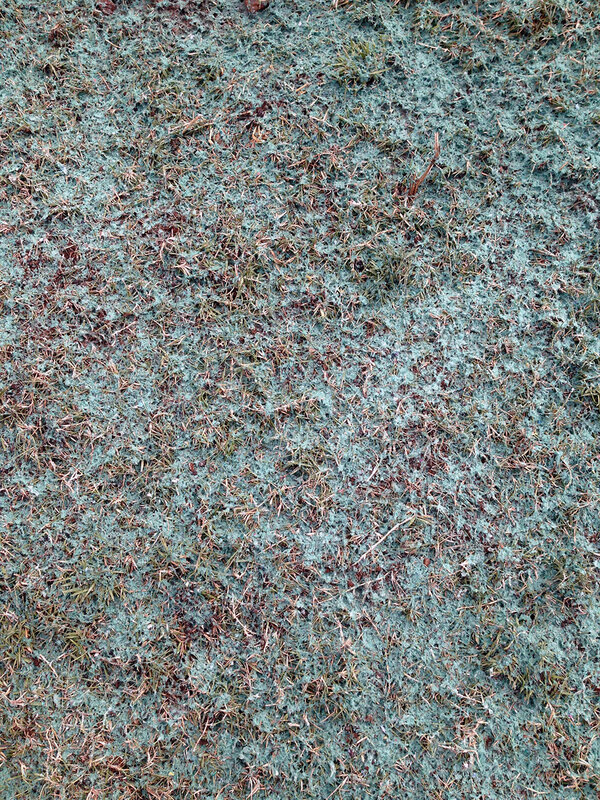 The process is simple! 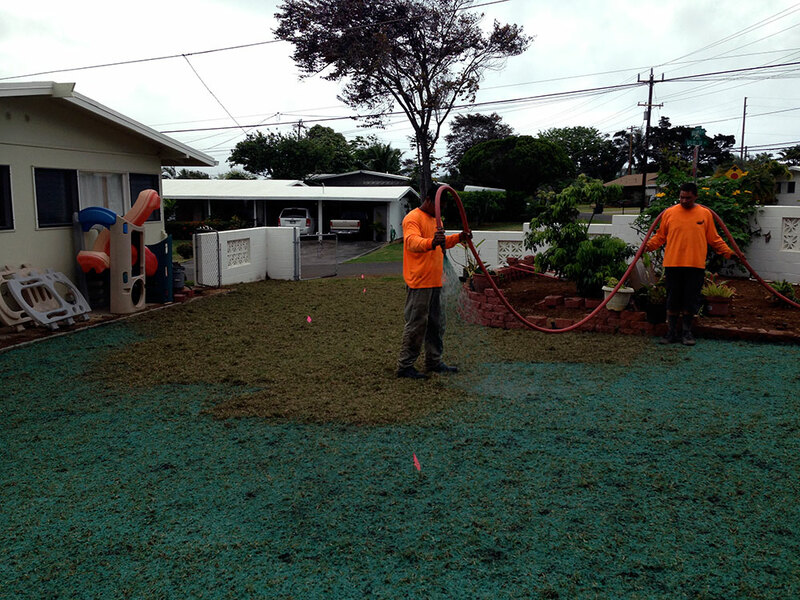 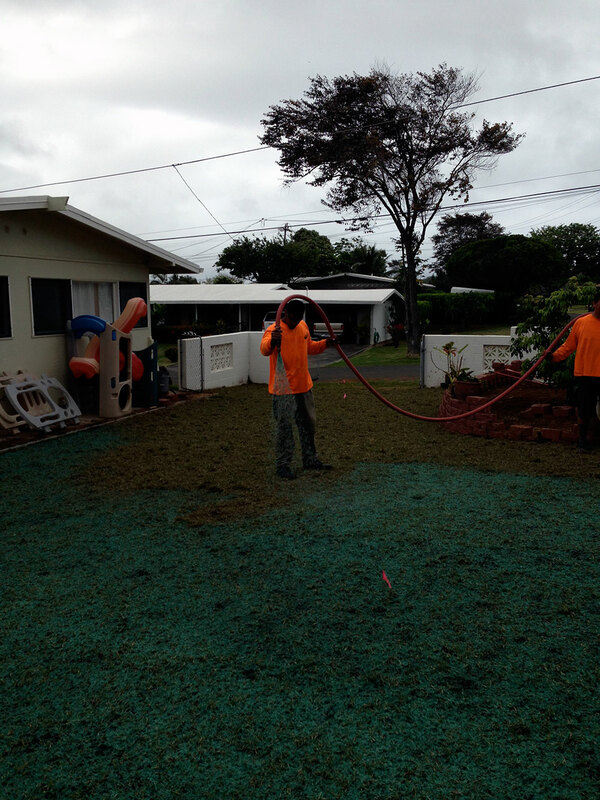 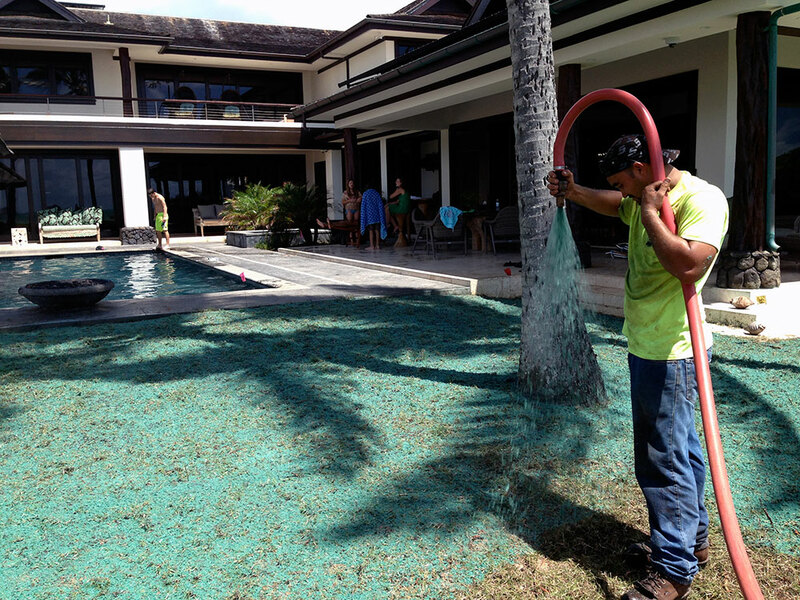 See how easy it is to Hydroseed your lawn. 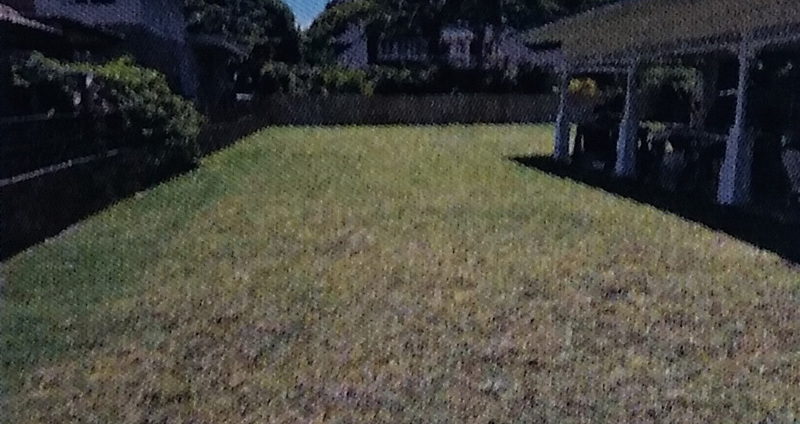 We've done a lot of lawns. 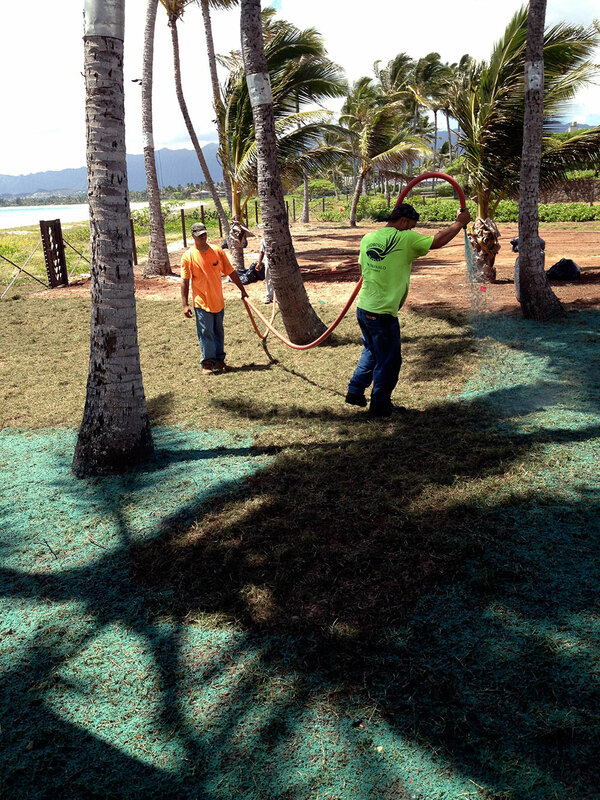 Sod requires a lot of care. 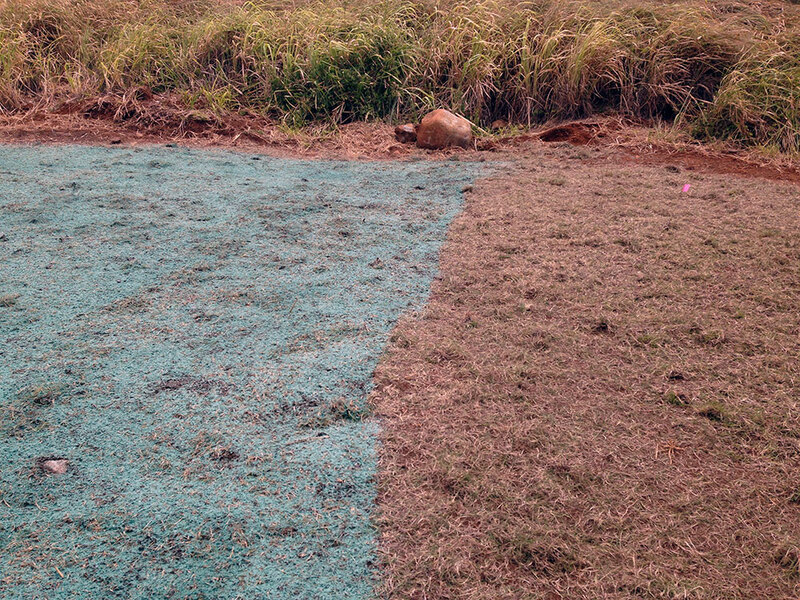 It will shrink over the first month and if it is not installed properly, gaps will open up between the sod rows. 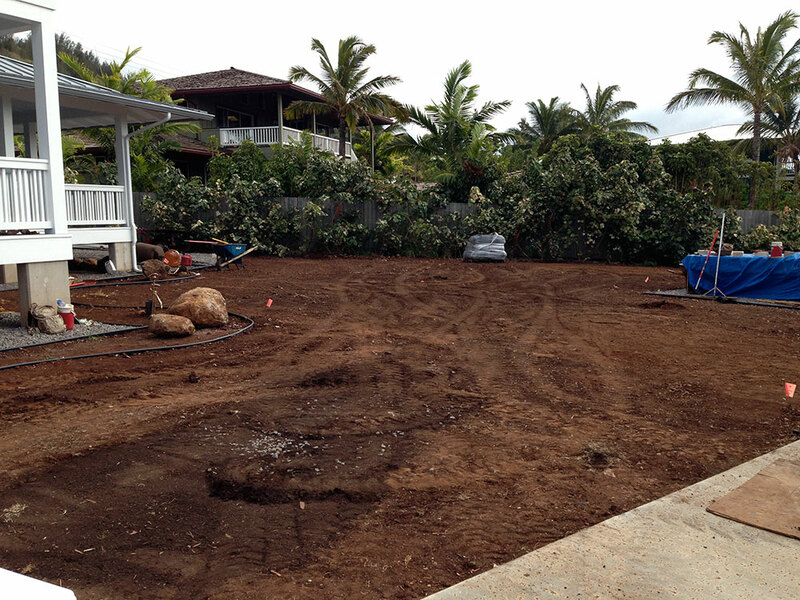 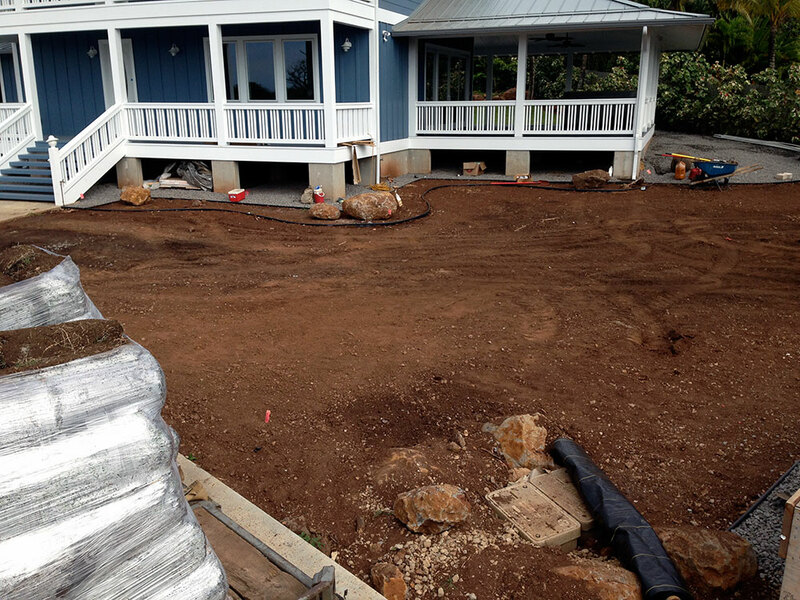 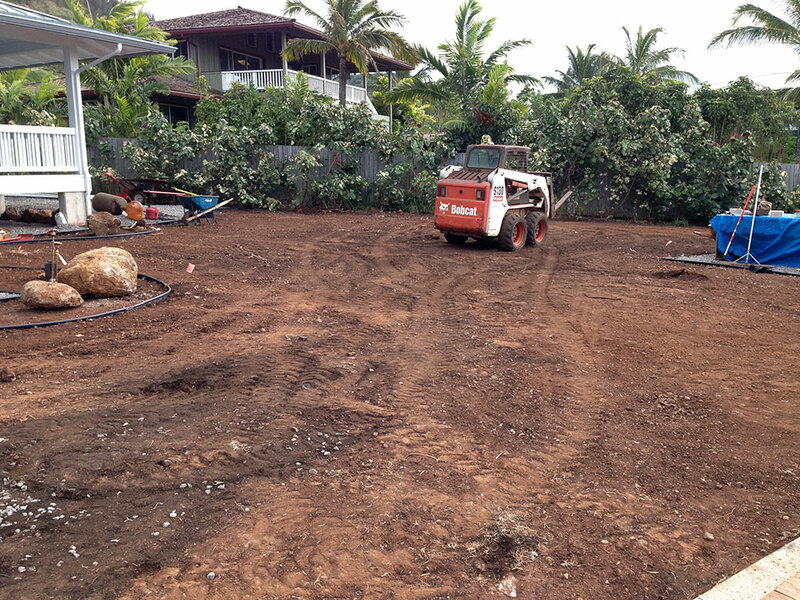 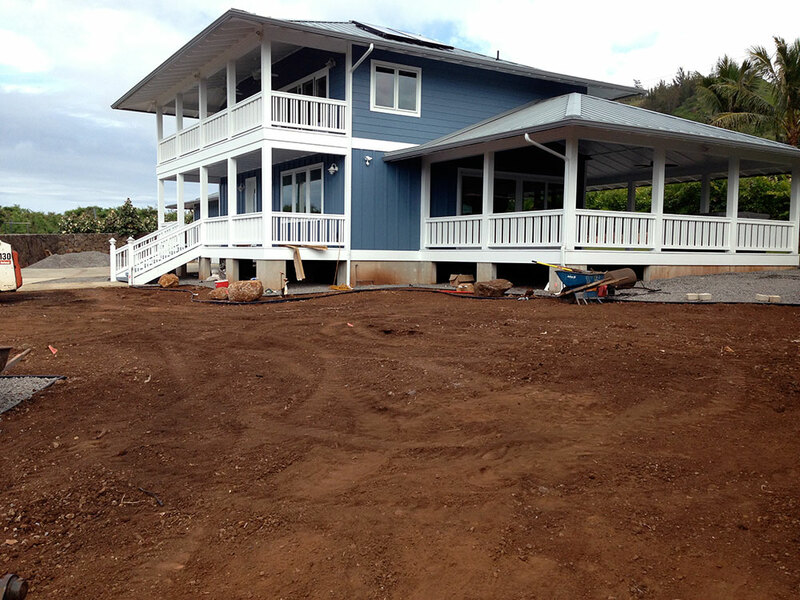 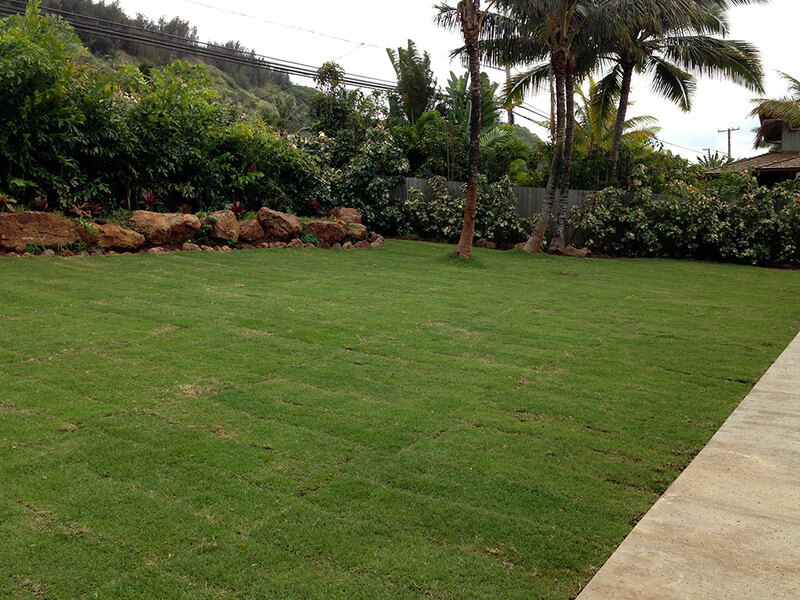 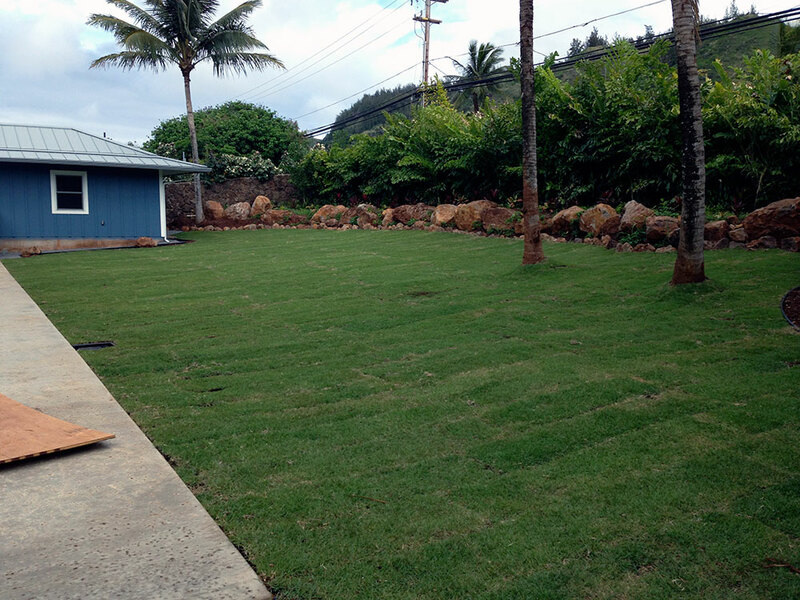 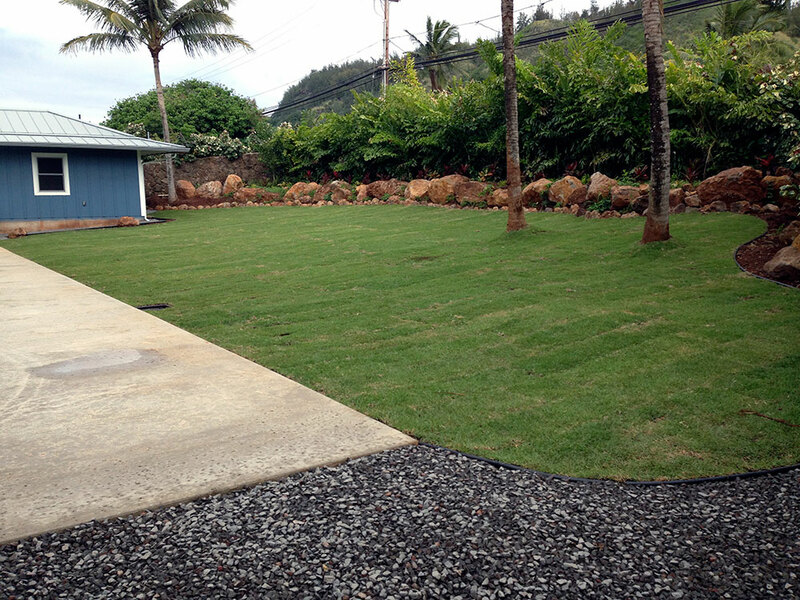 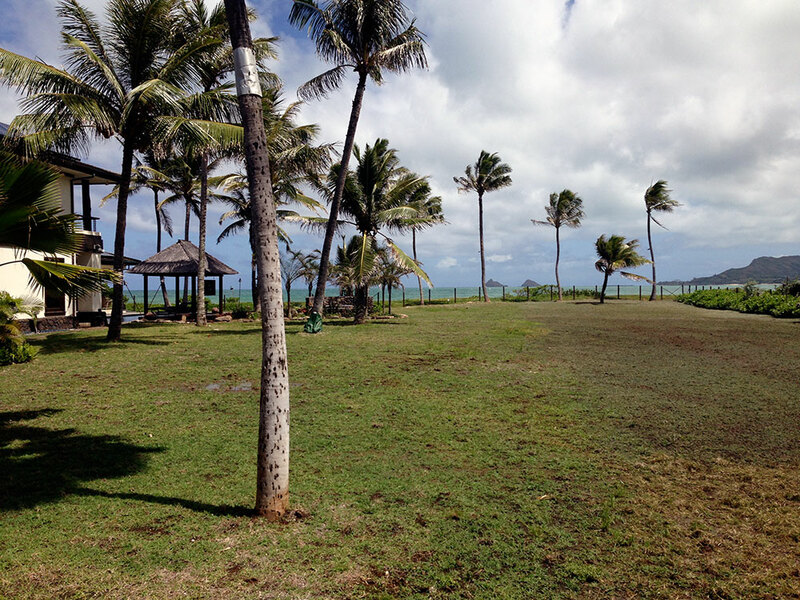 Proper watering and fertilizing steps are required to insure that you have a successful and beautiful new lawn. 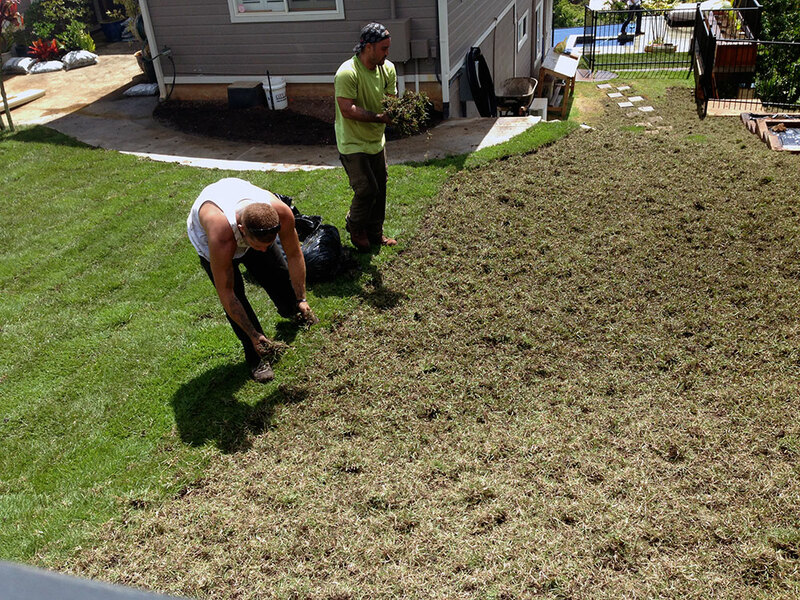 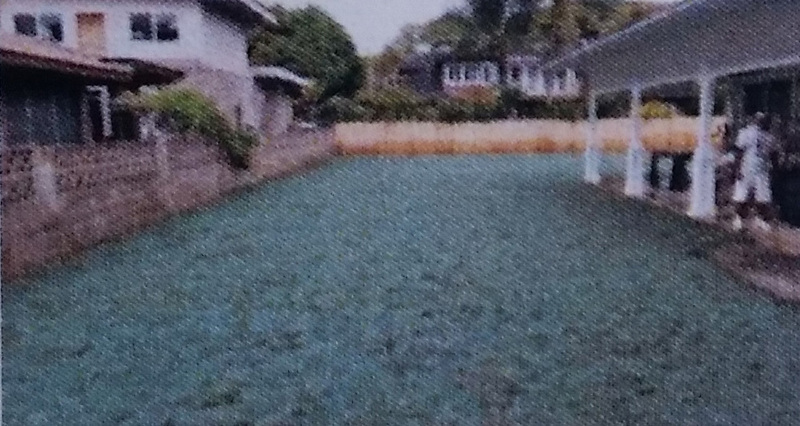 Hydroseeded lawns come up faster and is a more cost effective way to have a new lawn that will turn your neighbors green with envy. 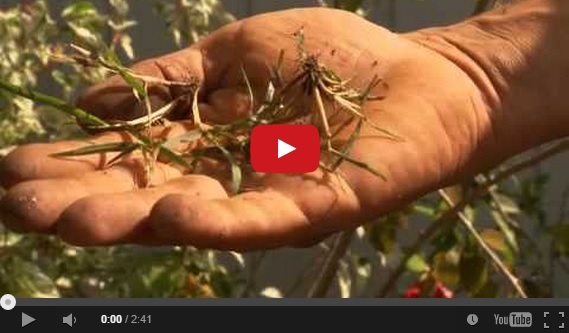 The contact of the seed with water will trigger the germination cycle. 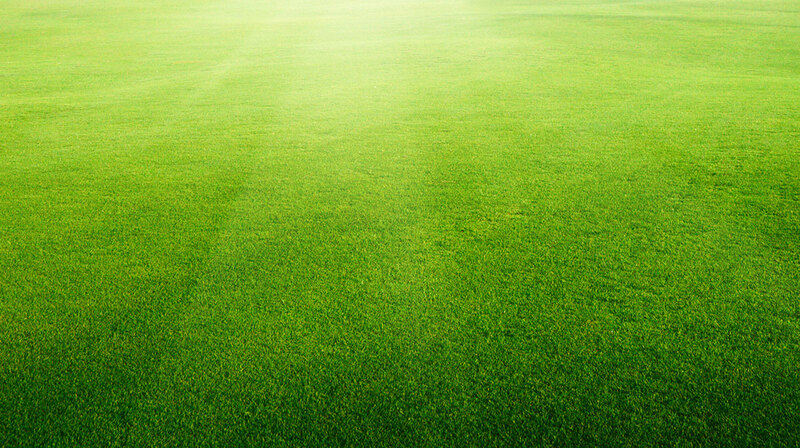 We often hear of grass up in 3 to 5 days. 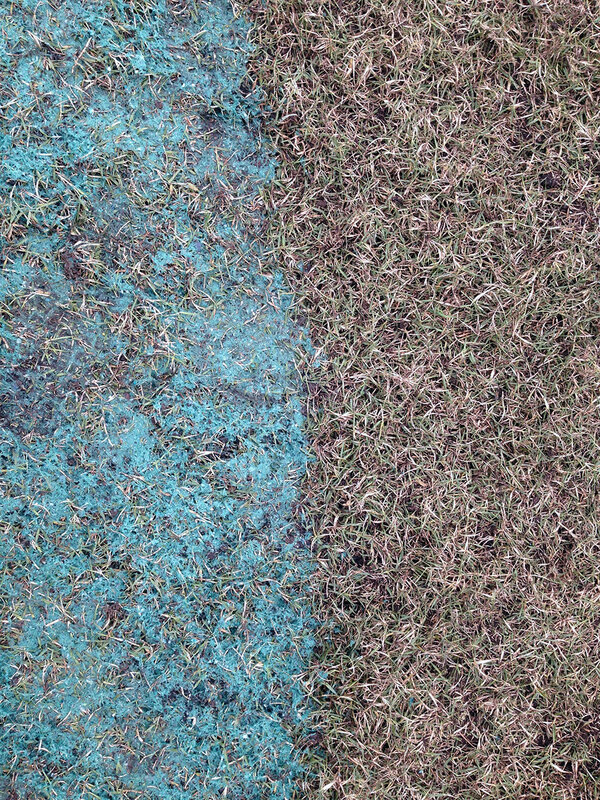 Ever seen sod that looks like it could be rolled right back up even years after it was planted? 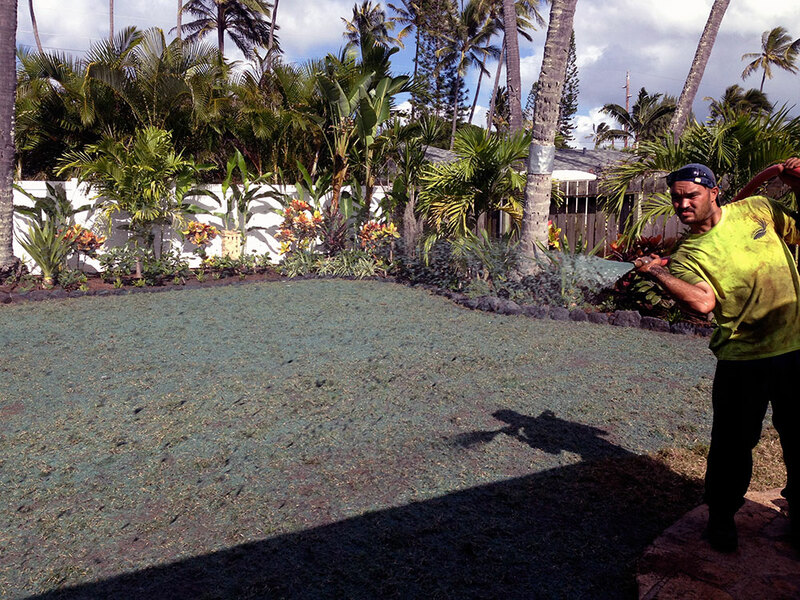 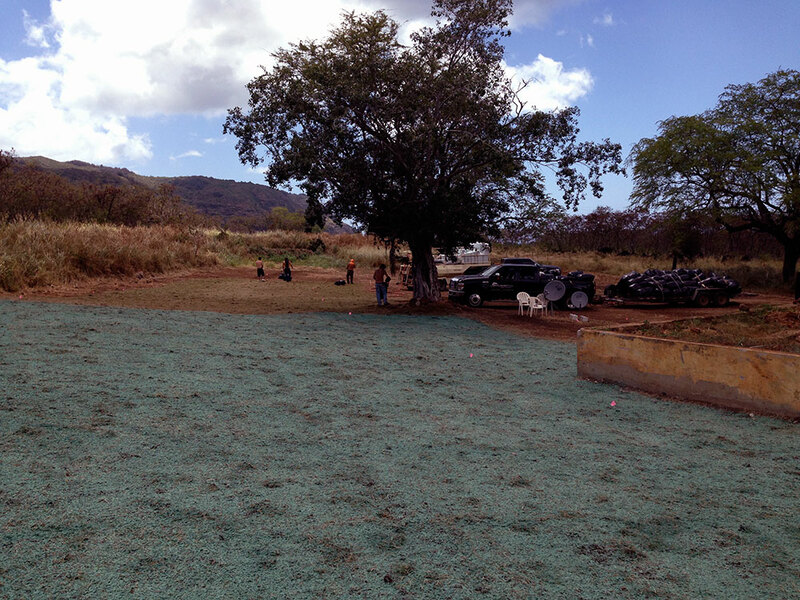 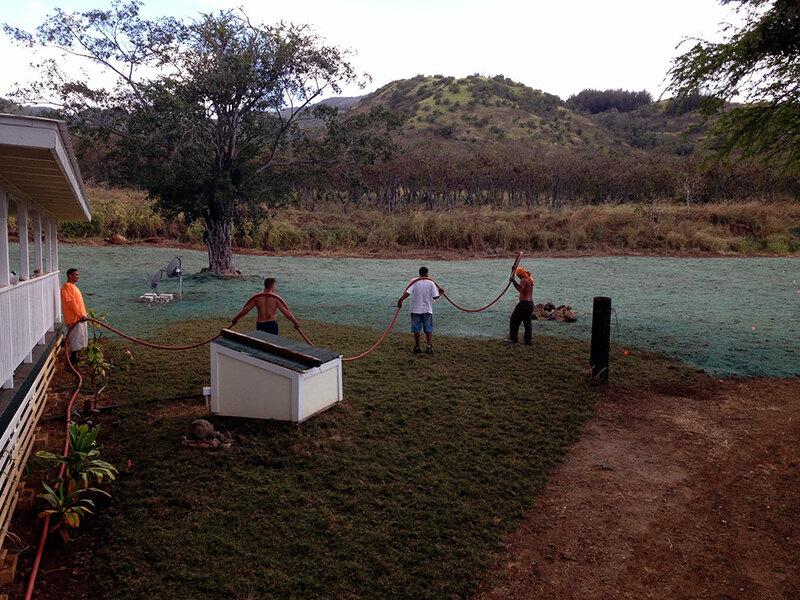 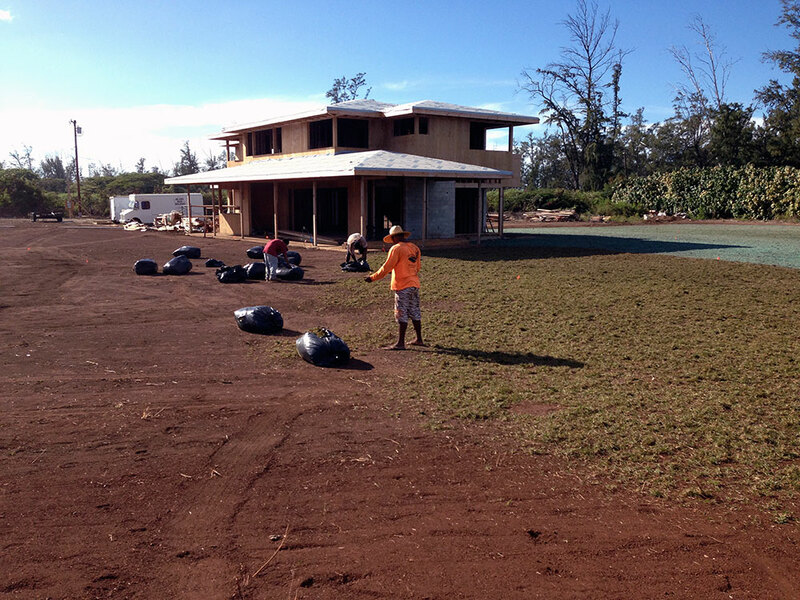 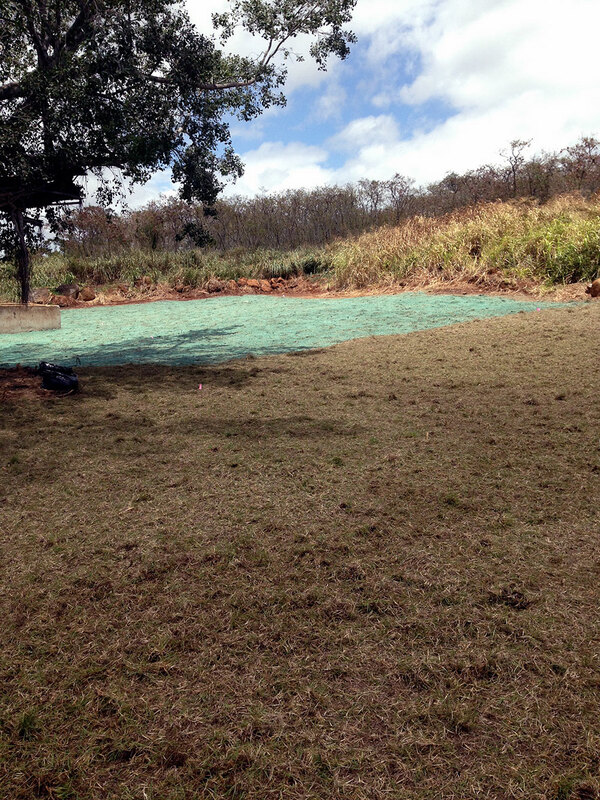 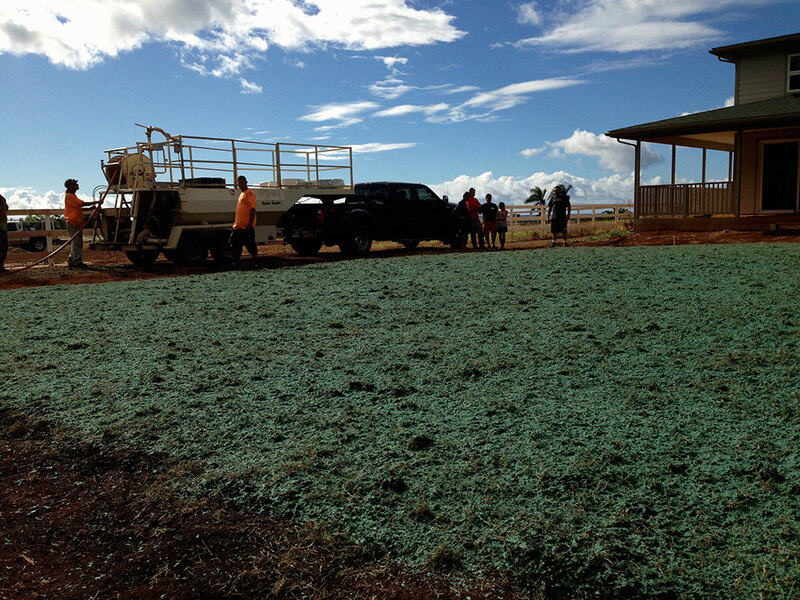 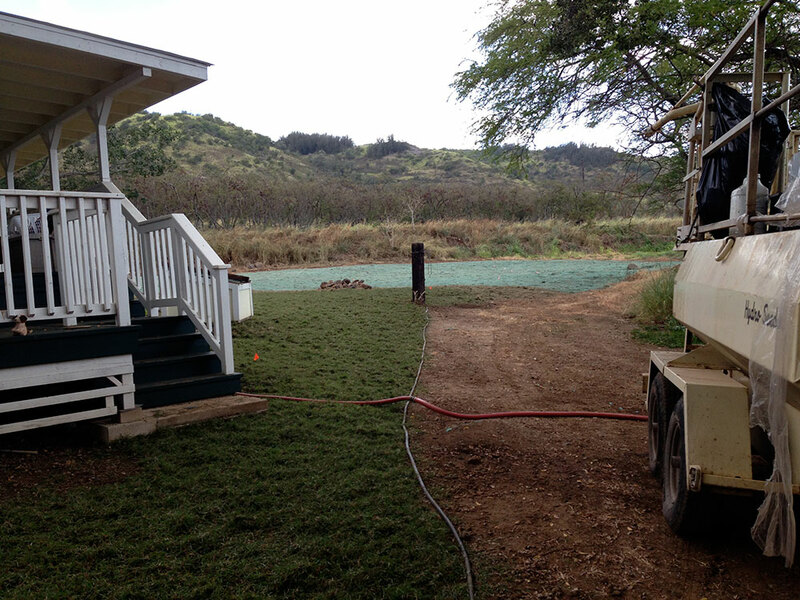 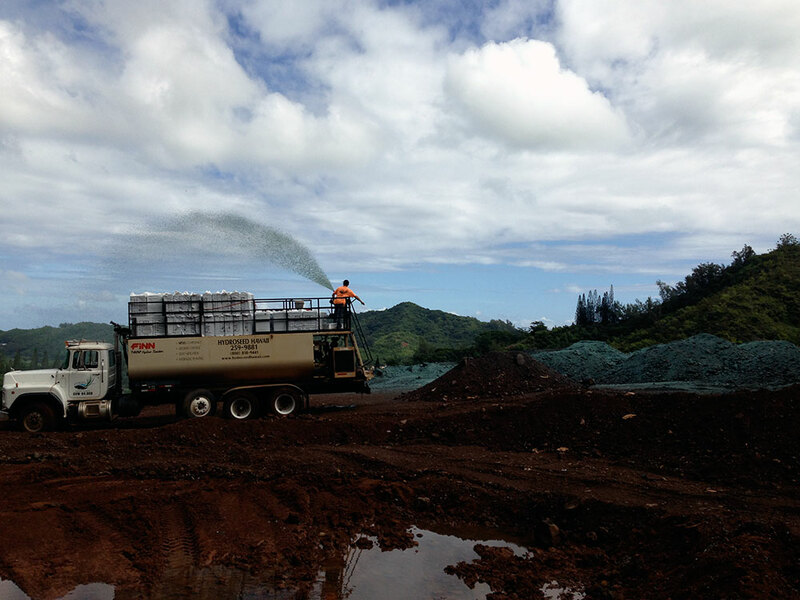 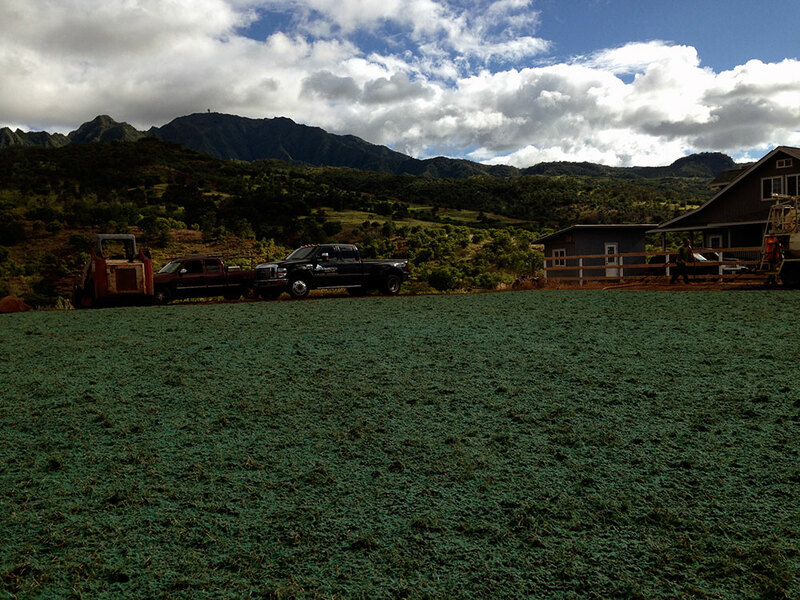 With hydroseeding the new seedlings are grown on top your soil. 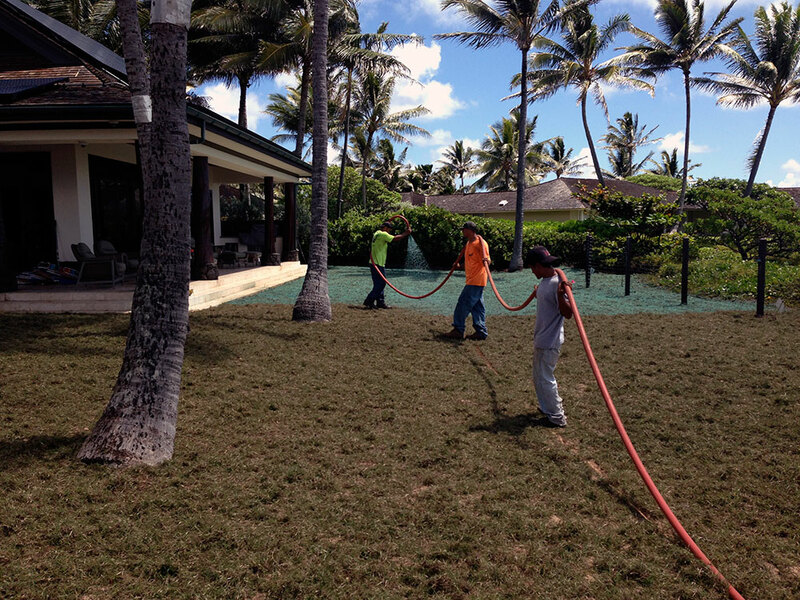 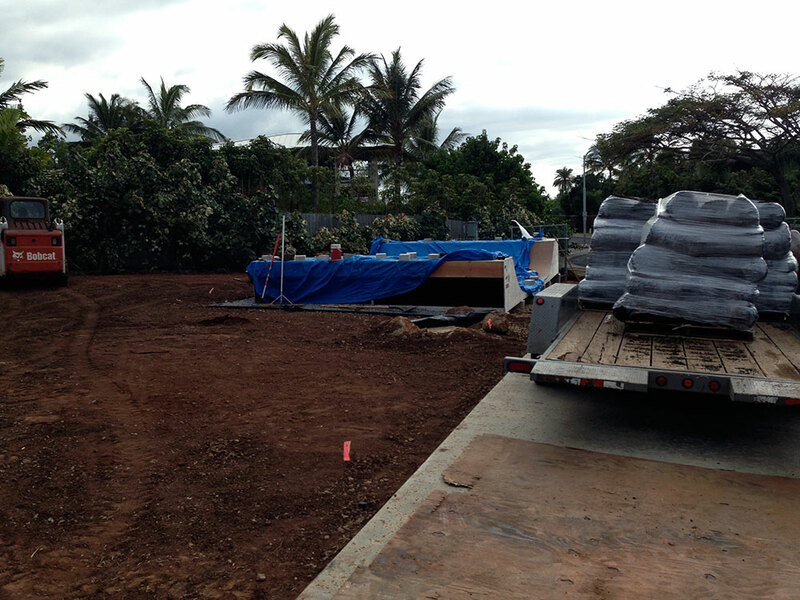 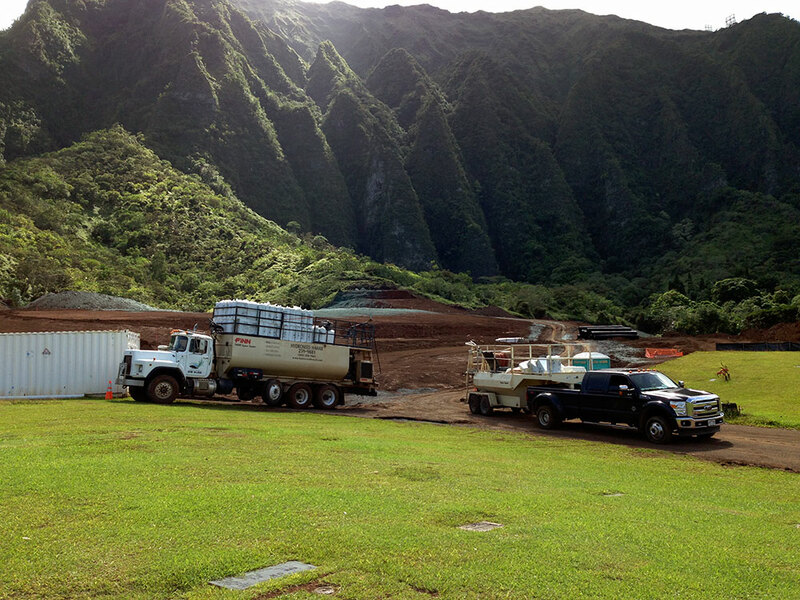 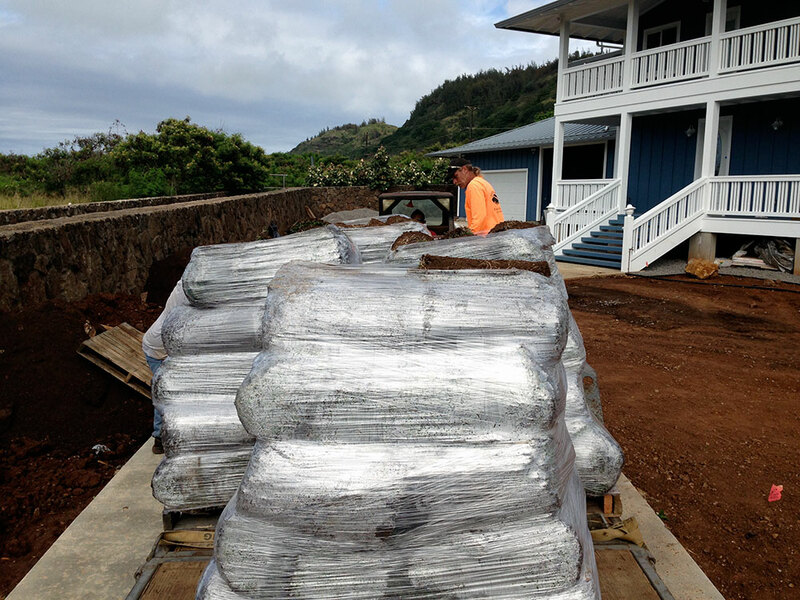 Sod can have problems with the type of soil it is grown on if not prepped correctly. 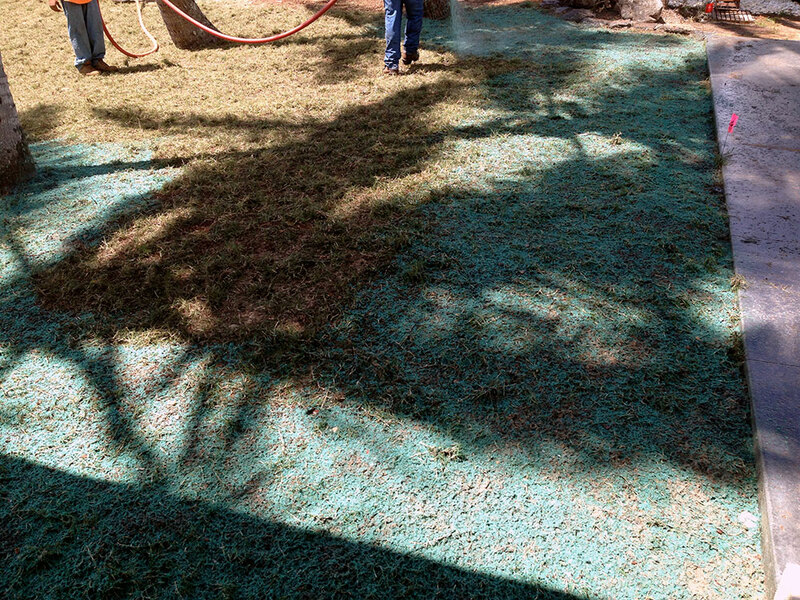 Get Ready to Enjoy a New Lawn!